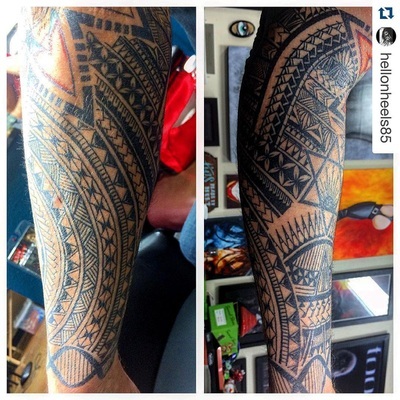 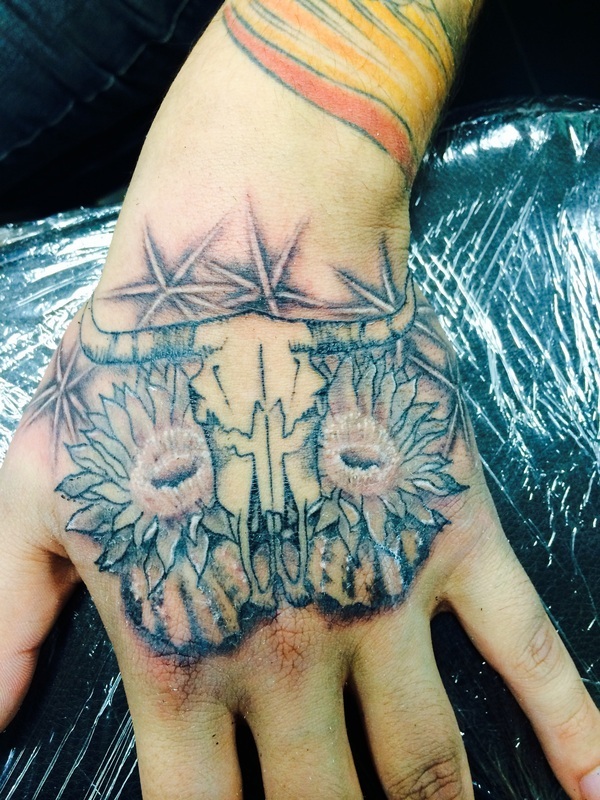 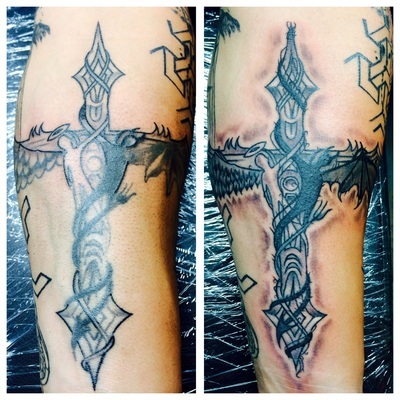 Nina: "I've been a tattoo artist for 3 and a half years. 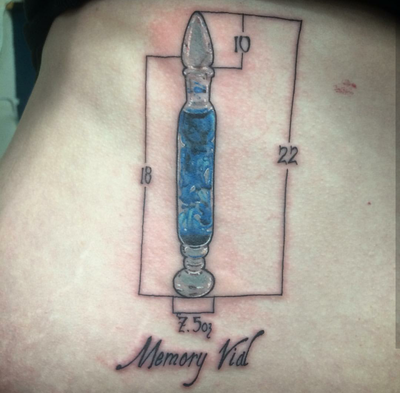 Since I was a child, I've been an artist of all sorts. 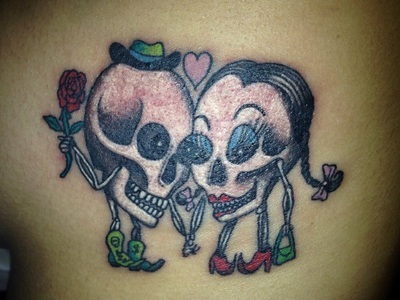 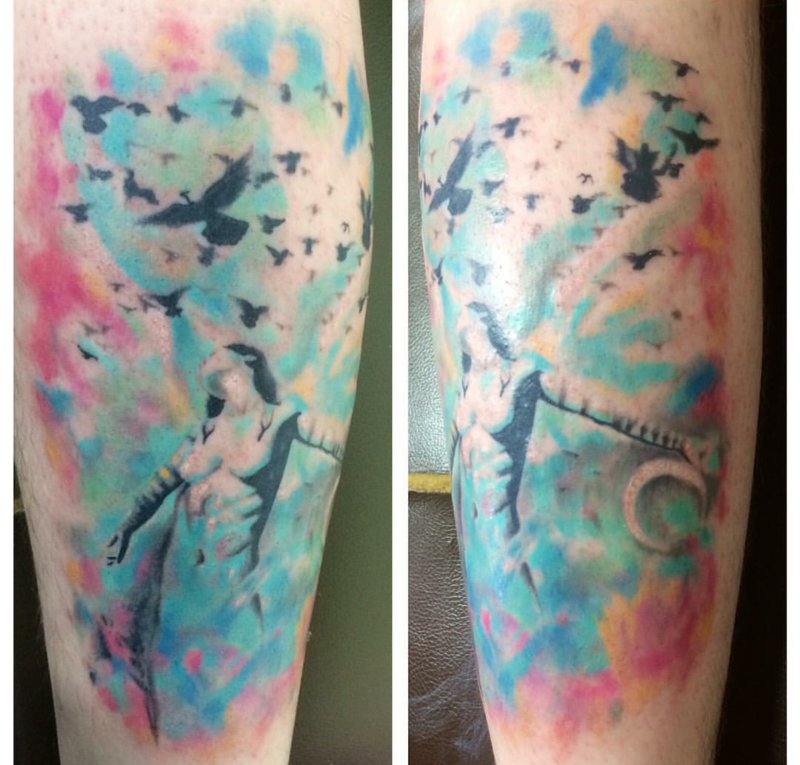 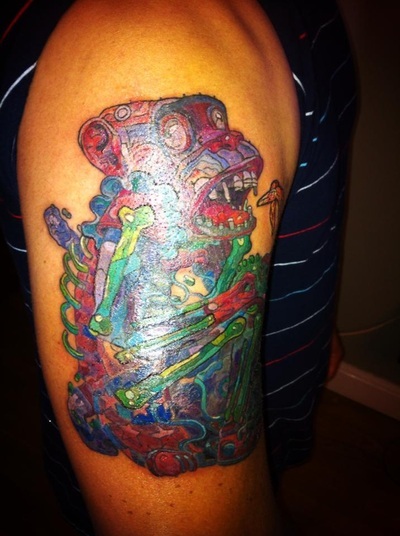 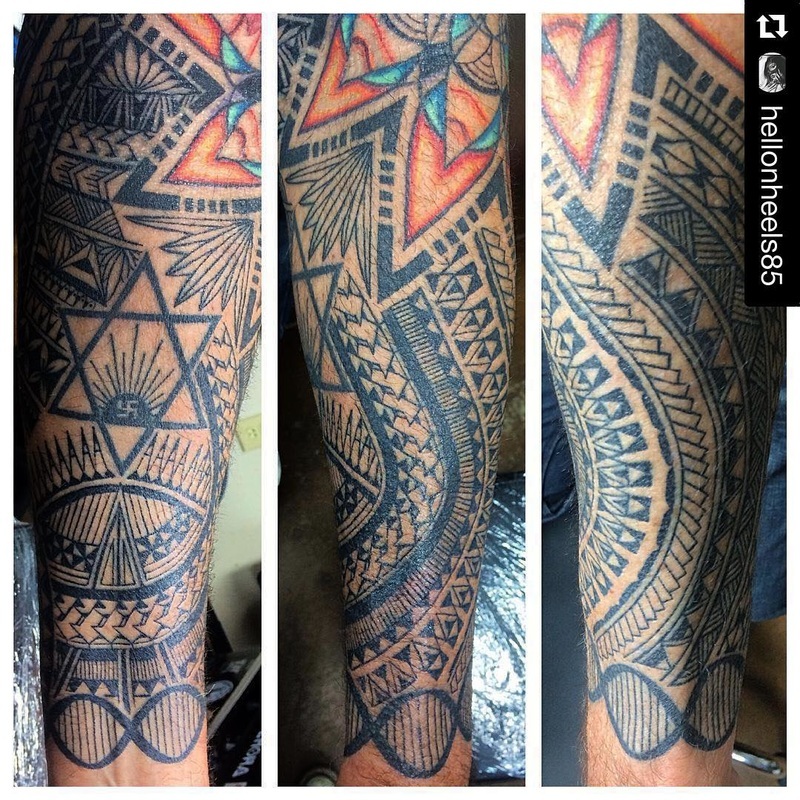 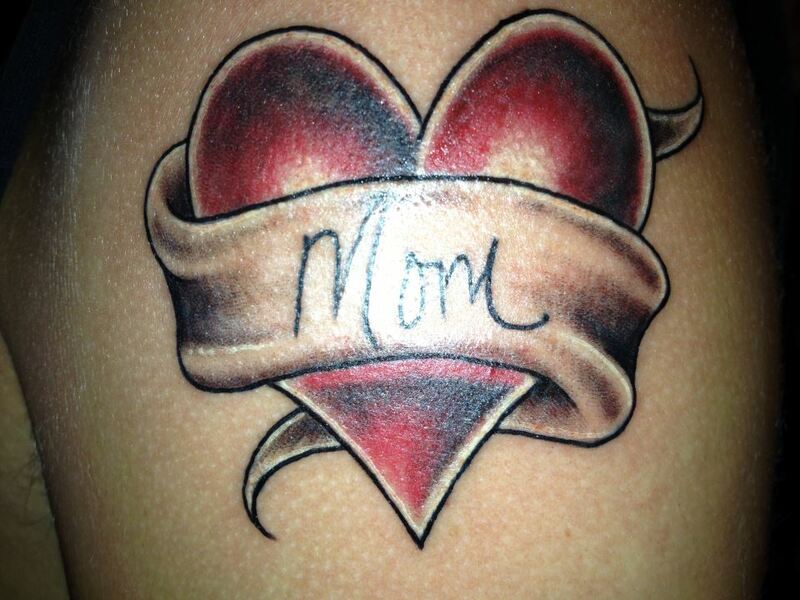 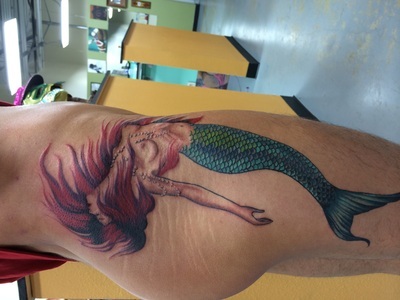 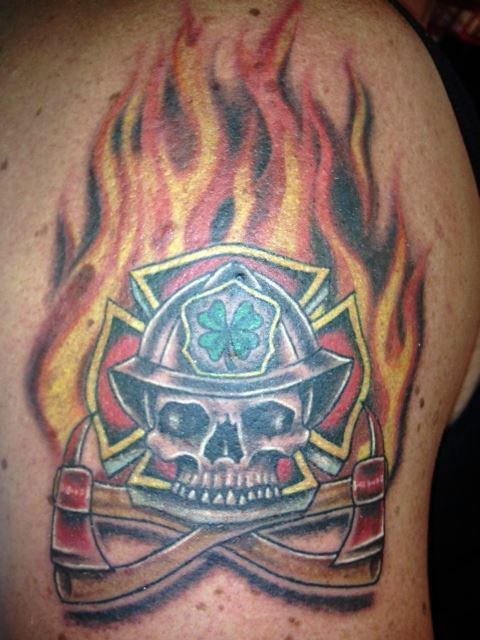 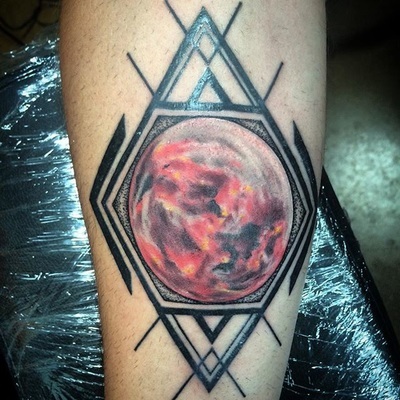 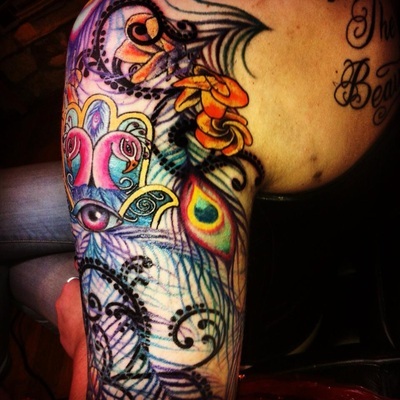 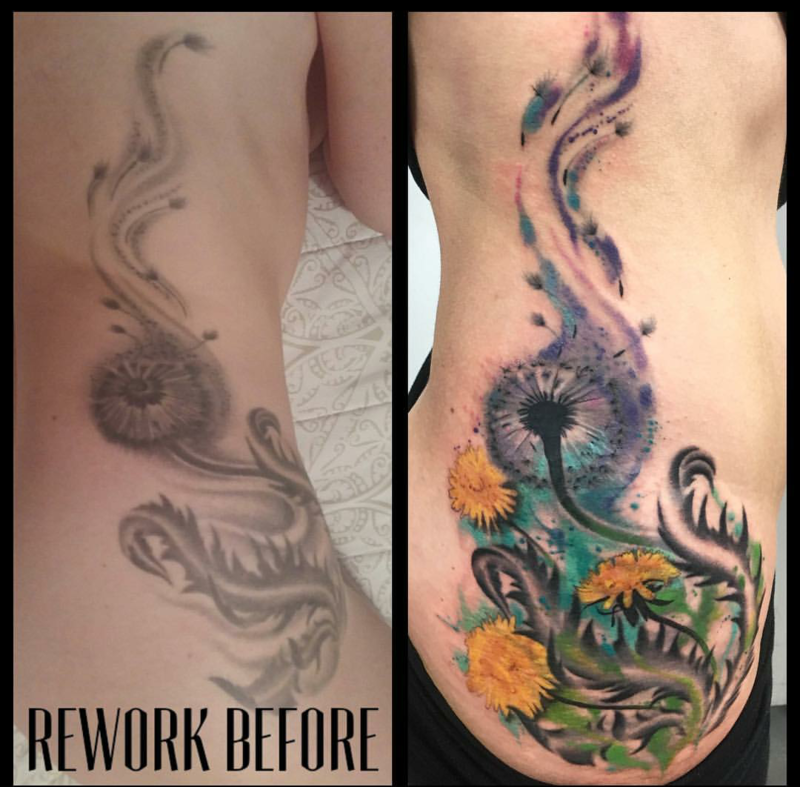 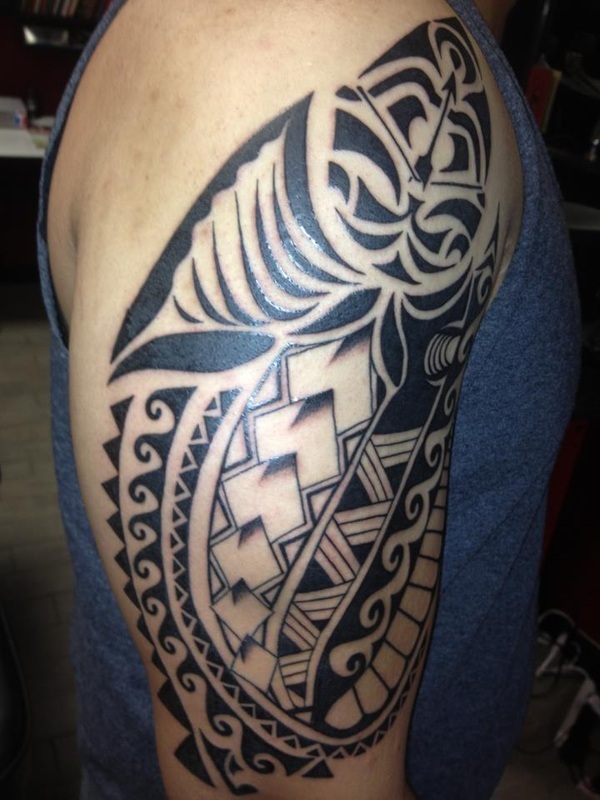 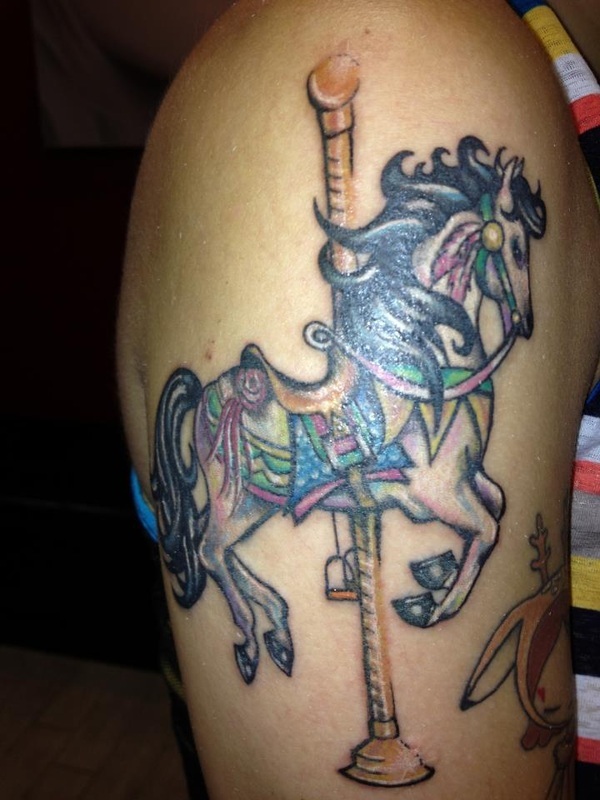 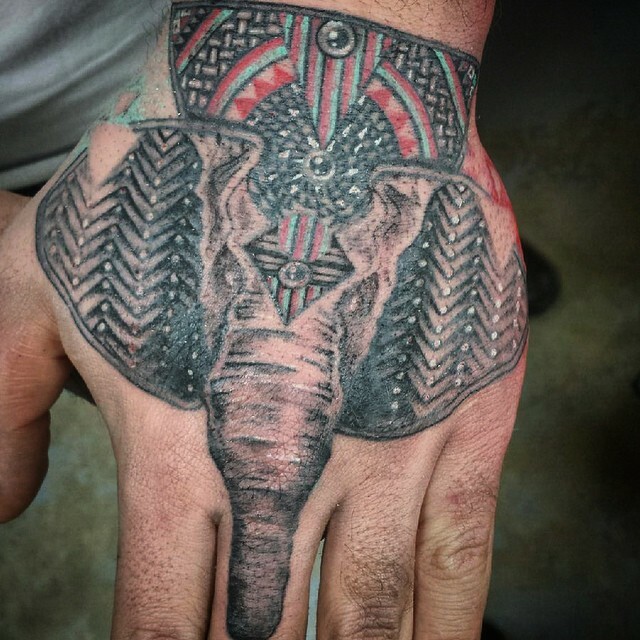 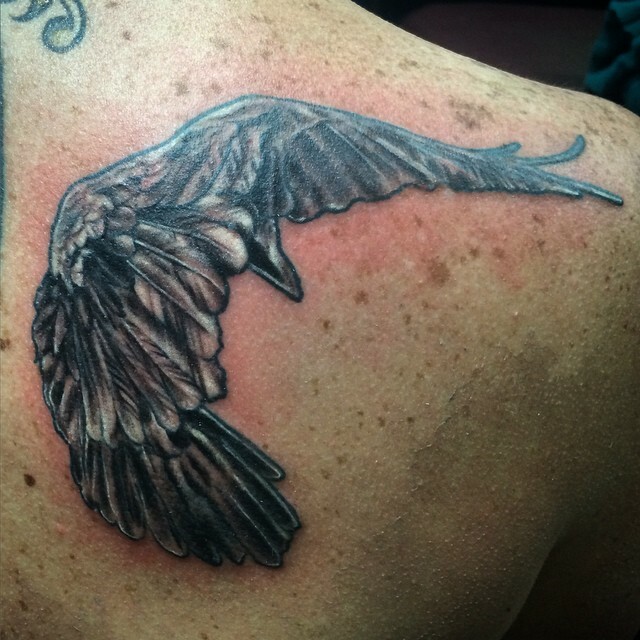 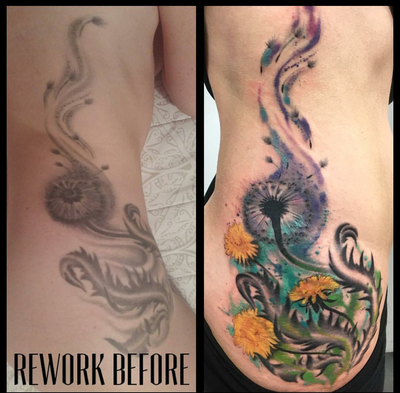 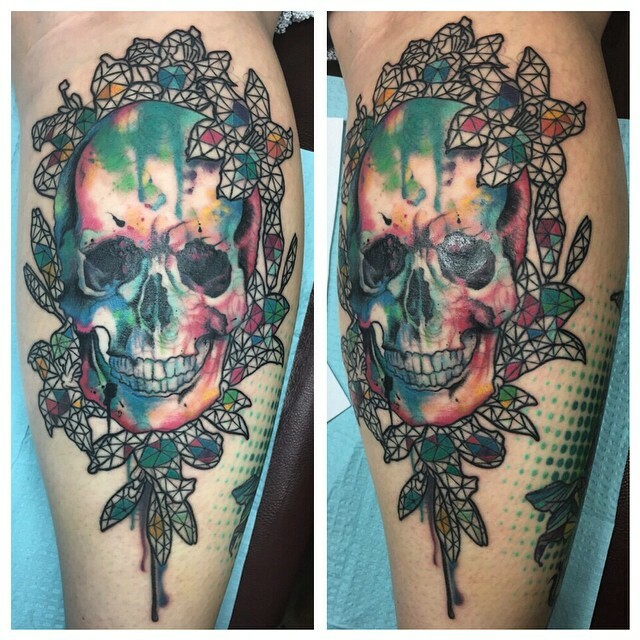 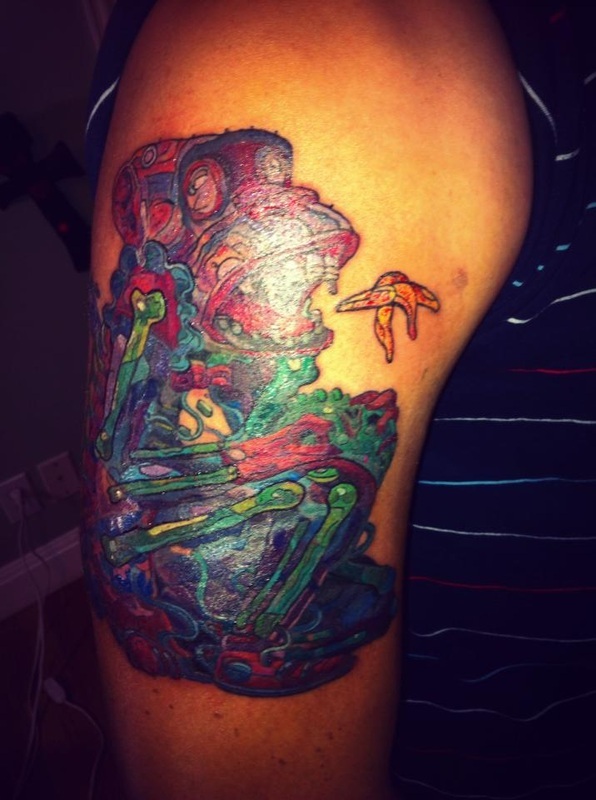 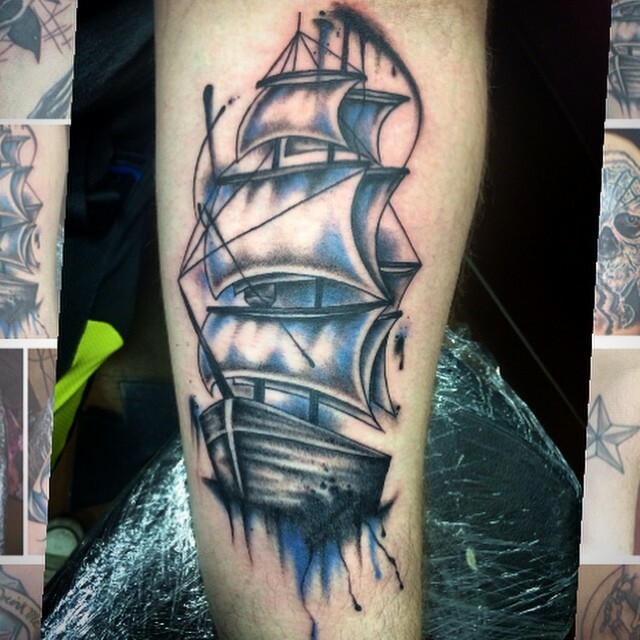 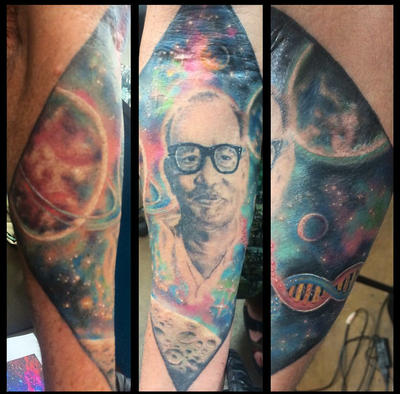 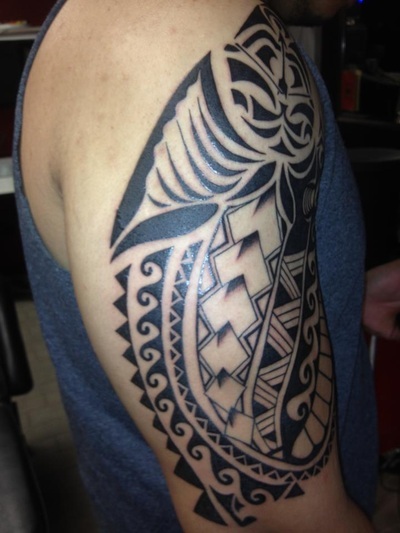 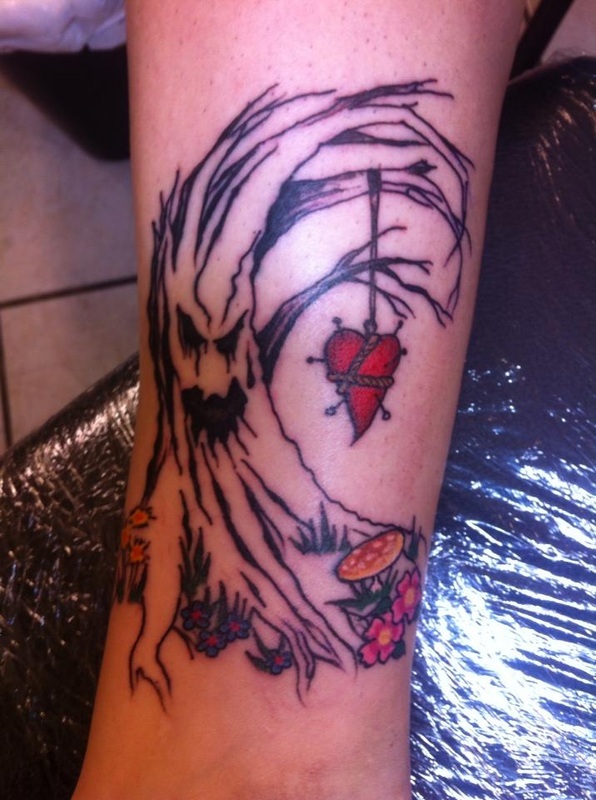 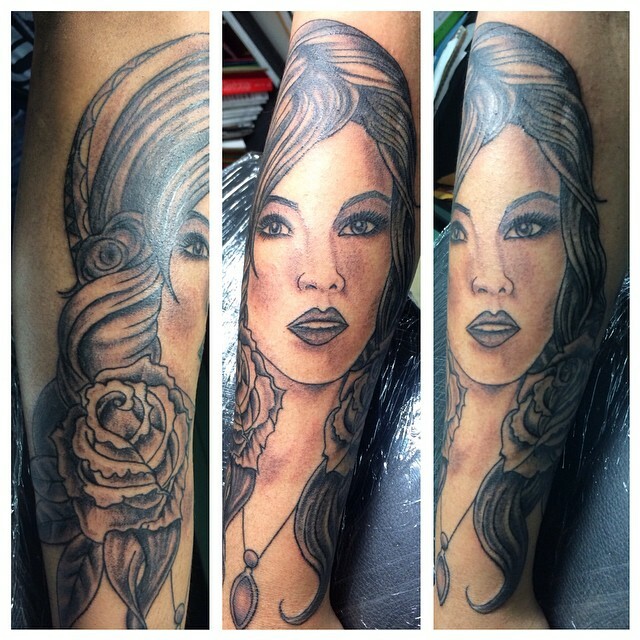 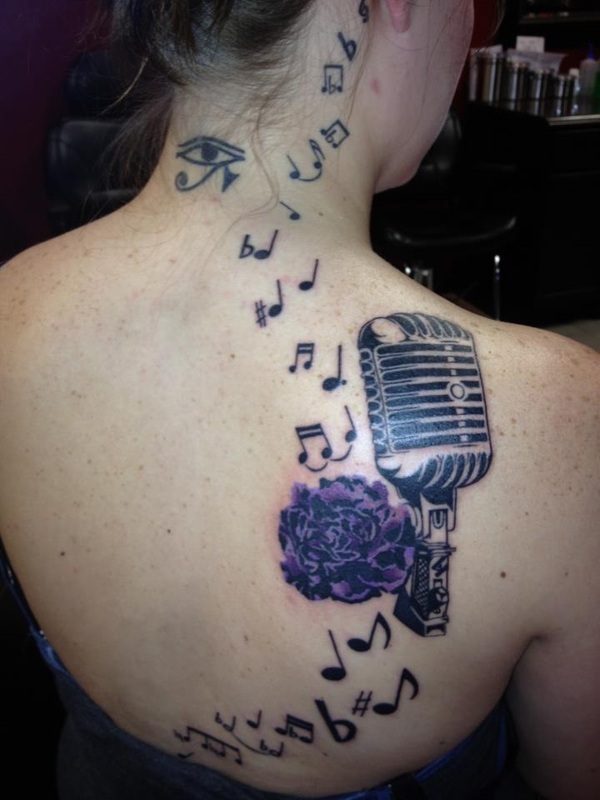 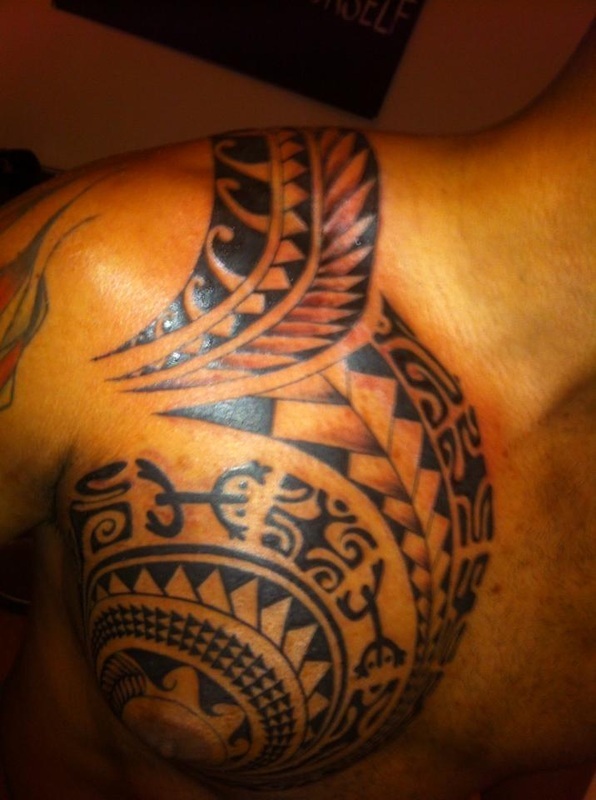 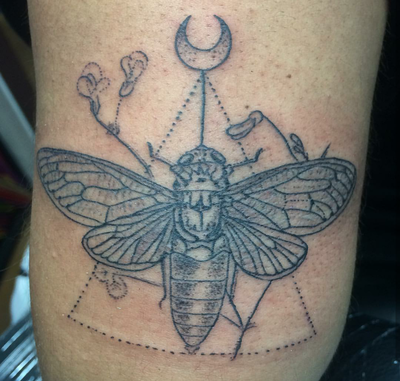 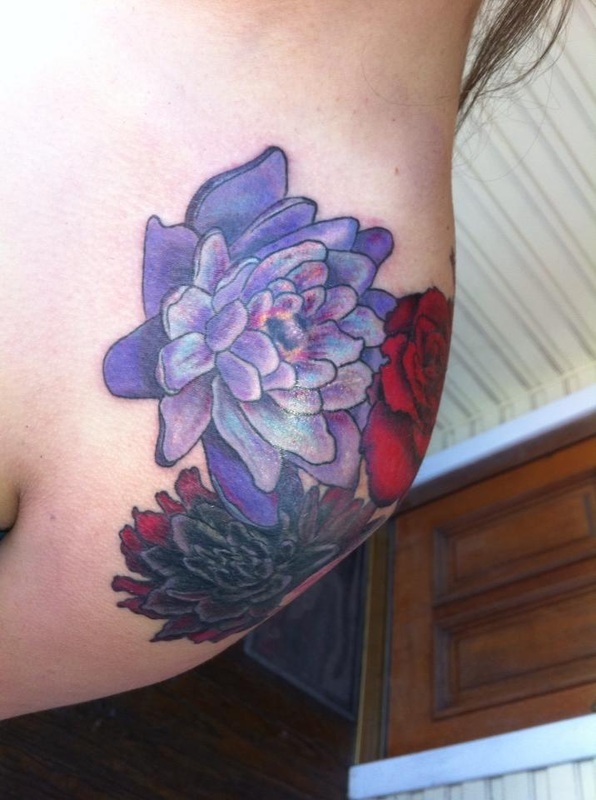 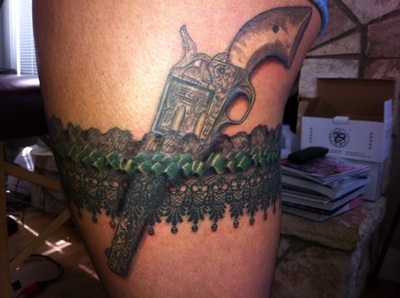 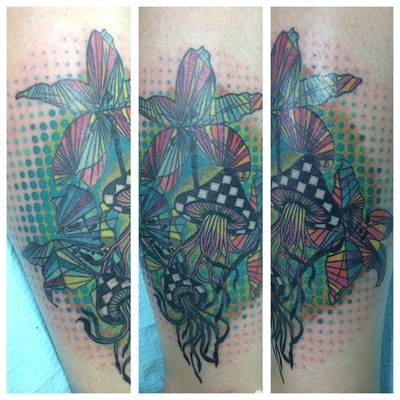 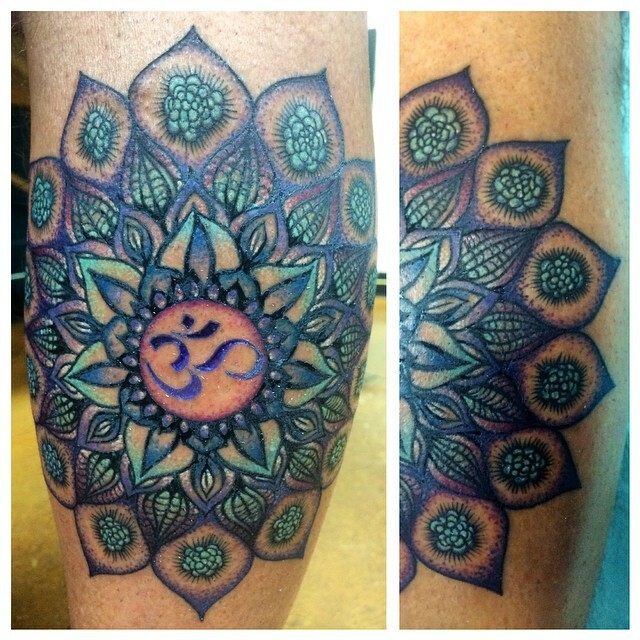 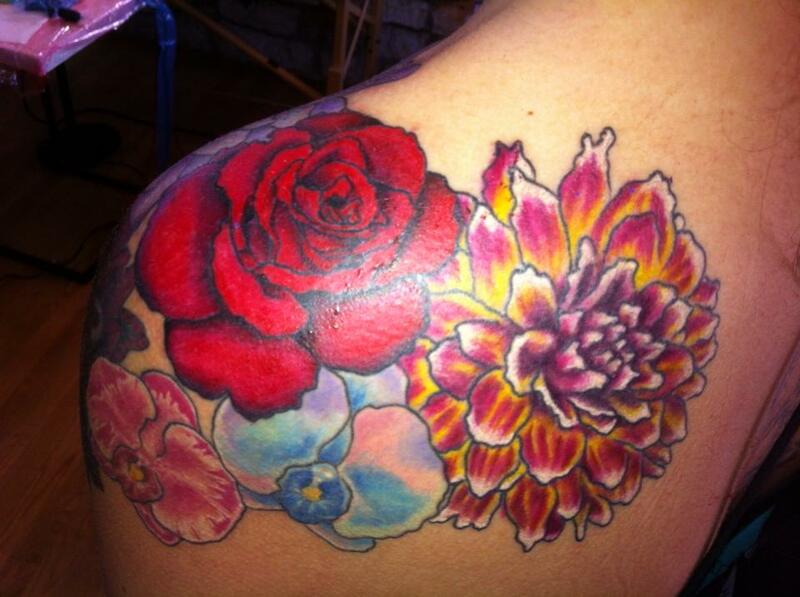 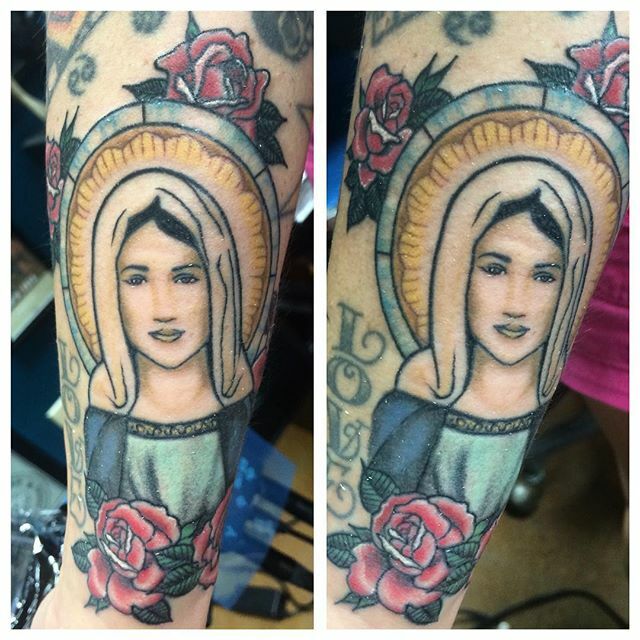 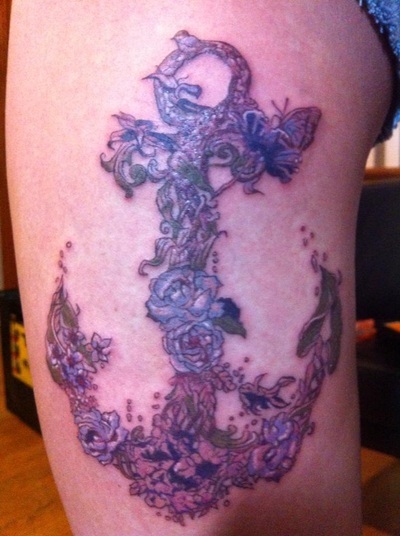 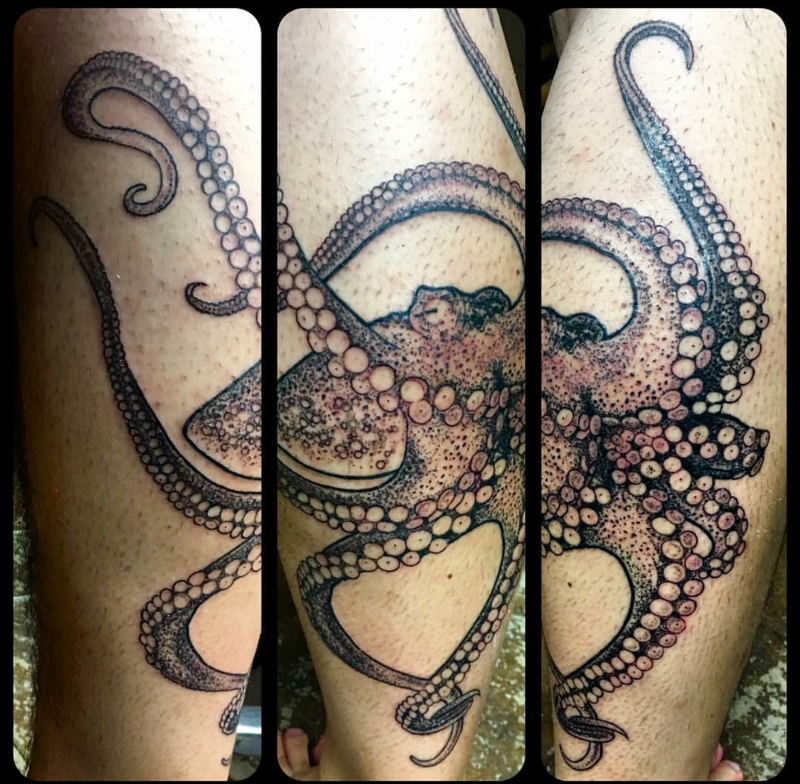 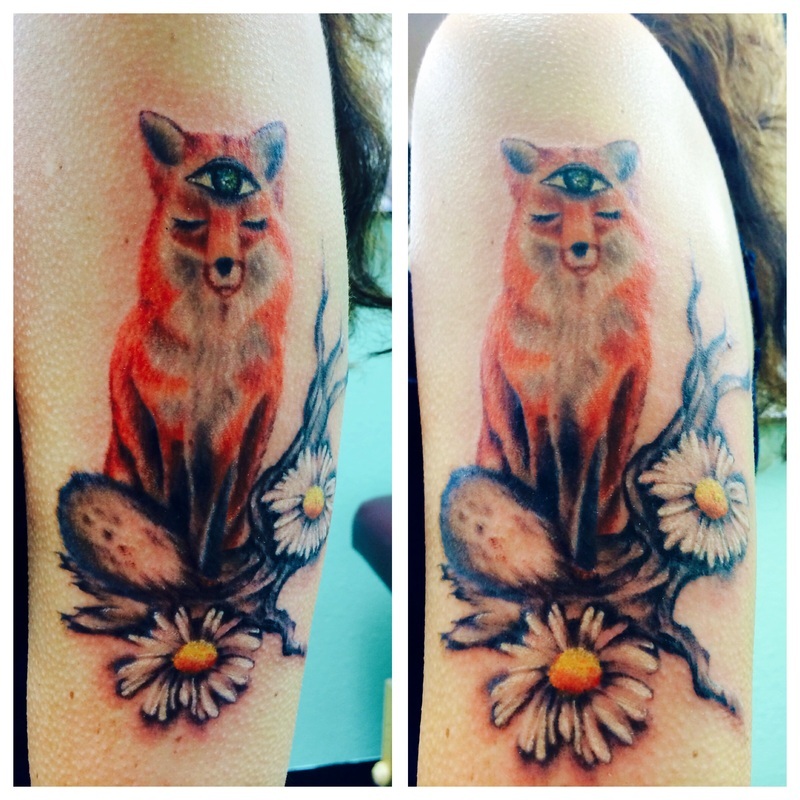 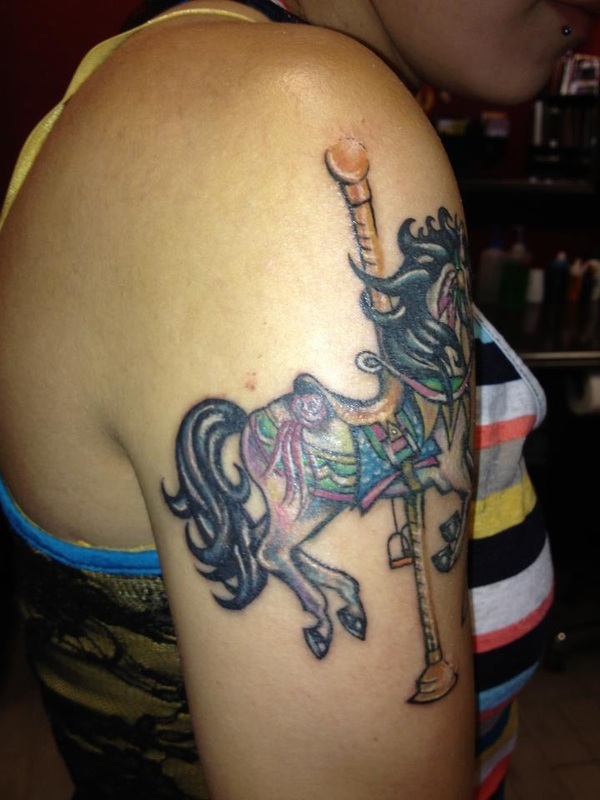 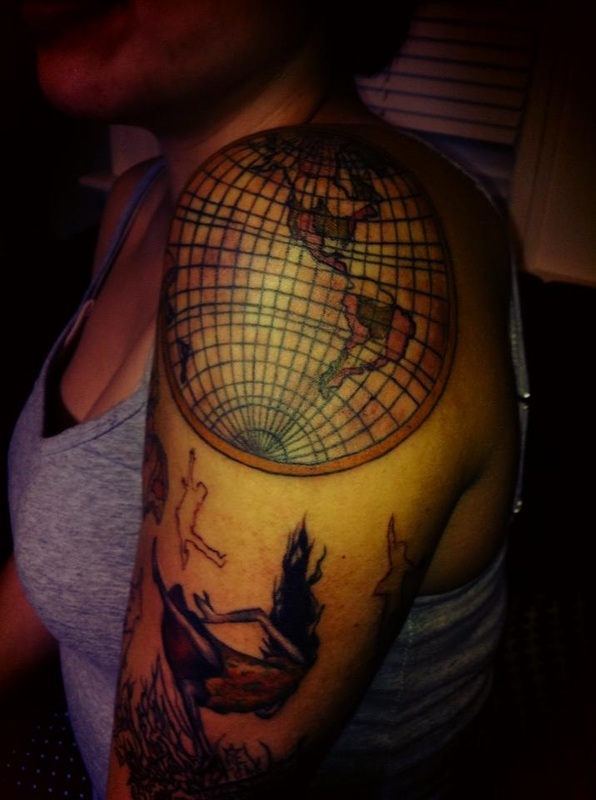 I have years of painting, drawing, sewing, and design on a resume' that leads up to me finding my passion for tattooing. 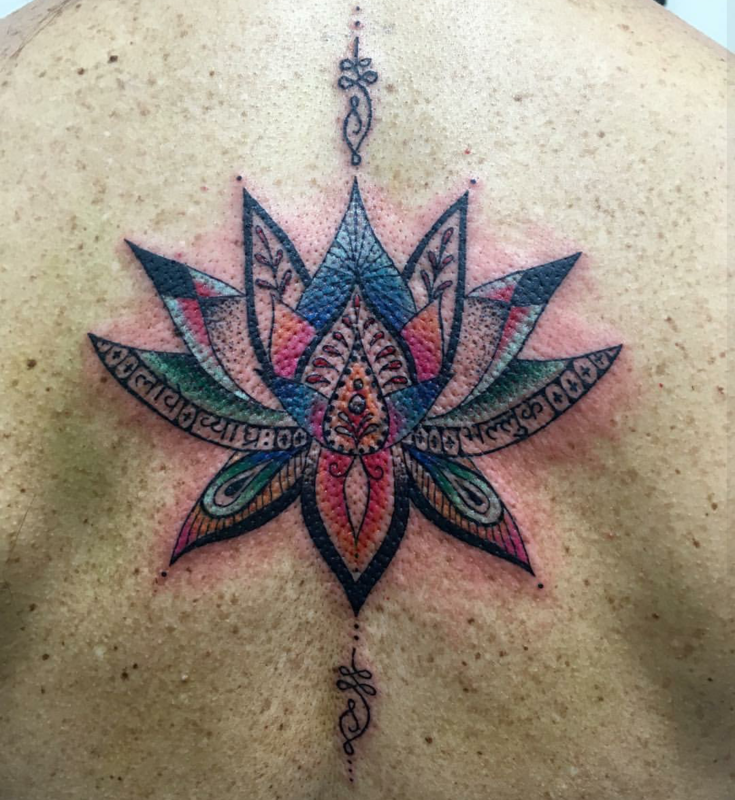 It is an art form that takes great responsibility, respect, and understanding for others. 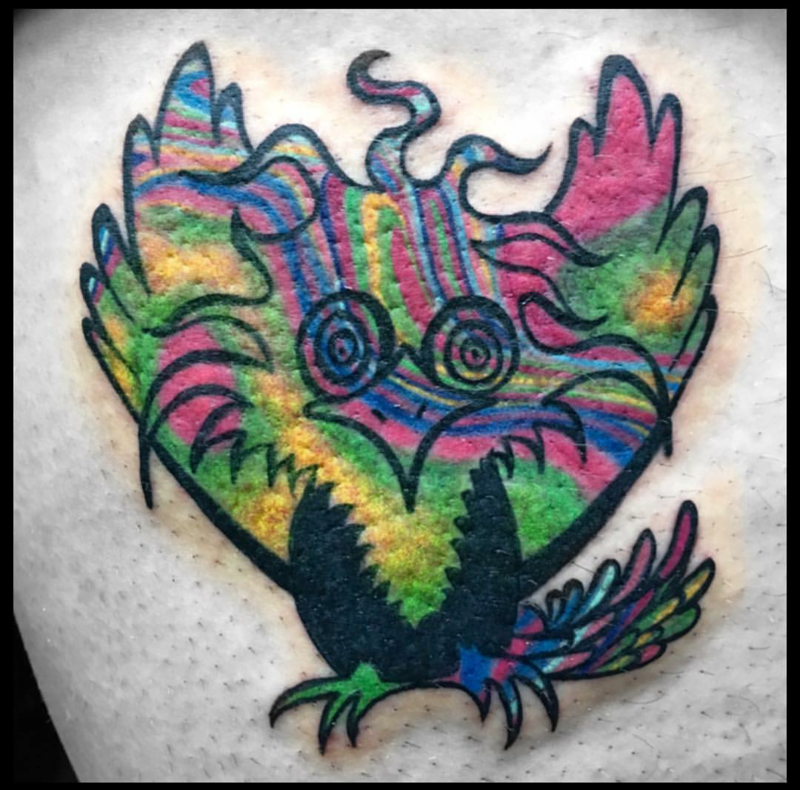 I love that I get to collaborate with my client on every tattoo and to see them happy and proud to wear my artwork for the rest of their life. 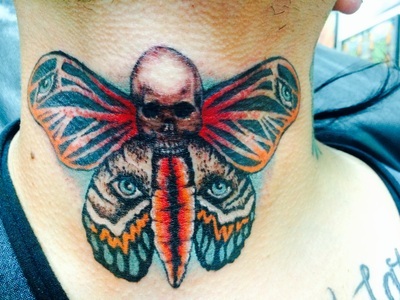 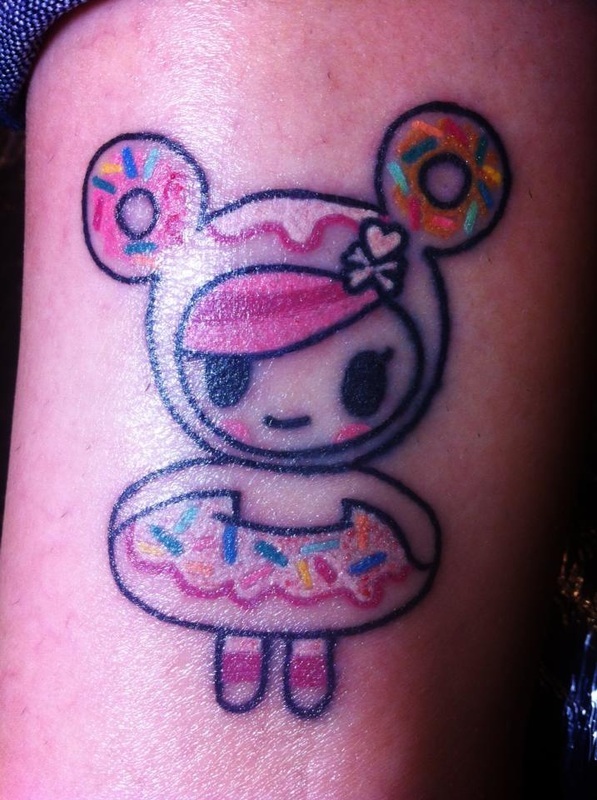 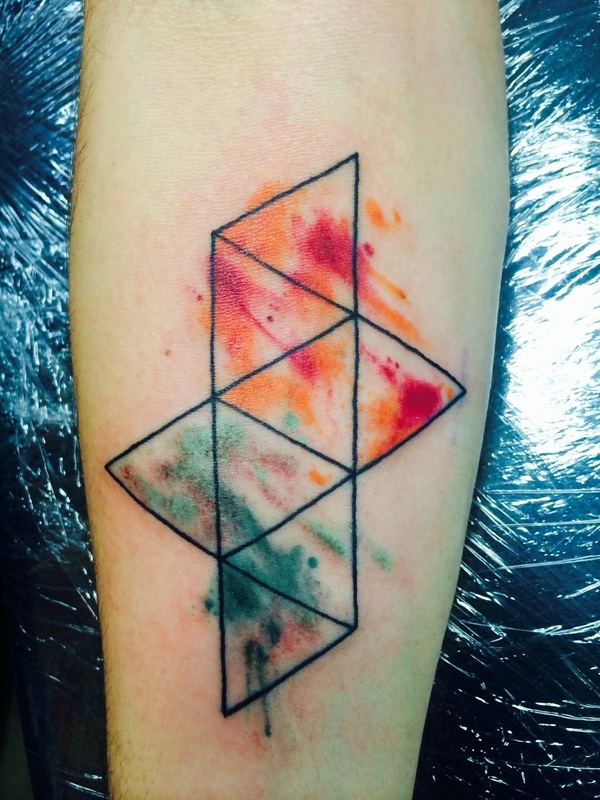 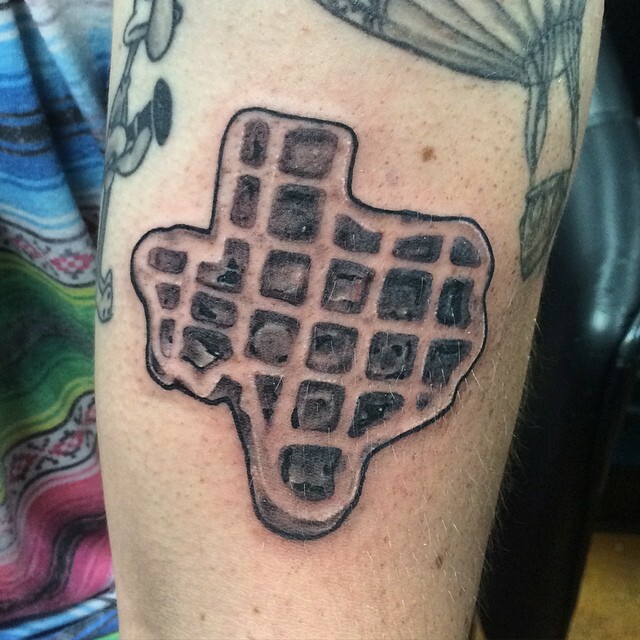 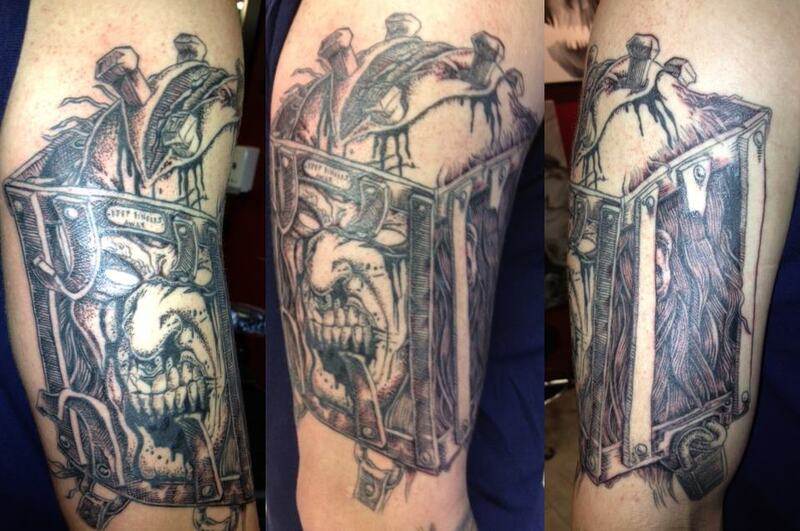 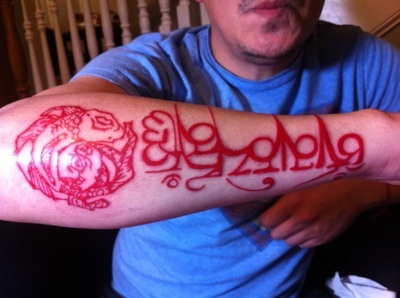 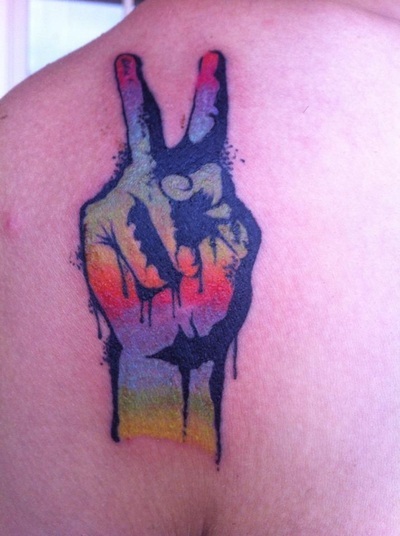 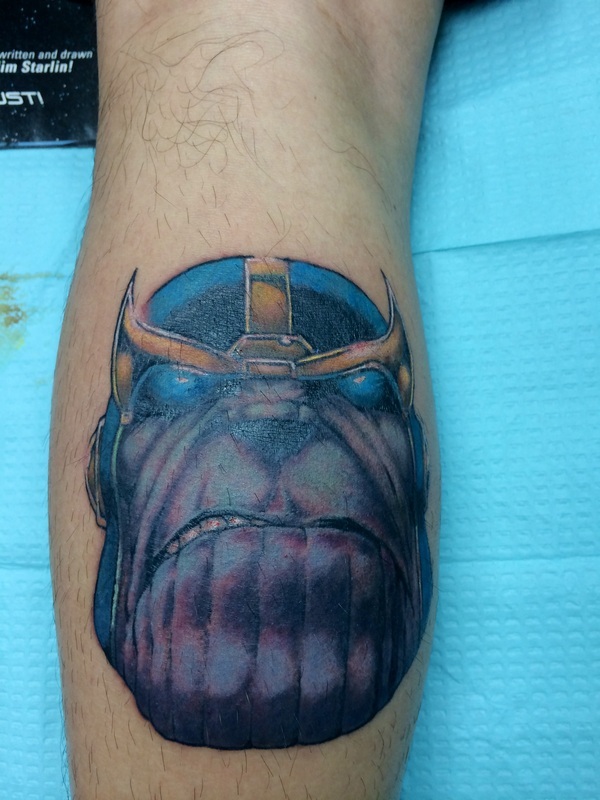 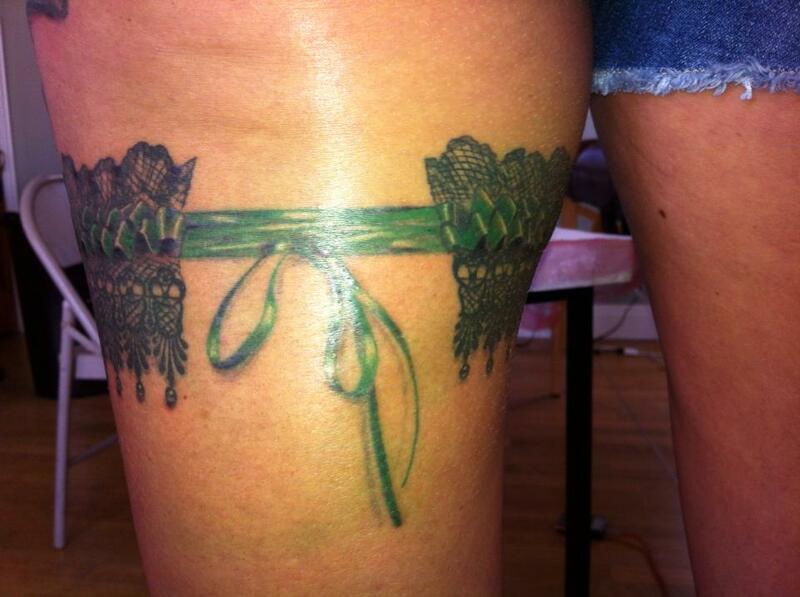 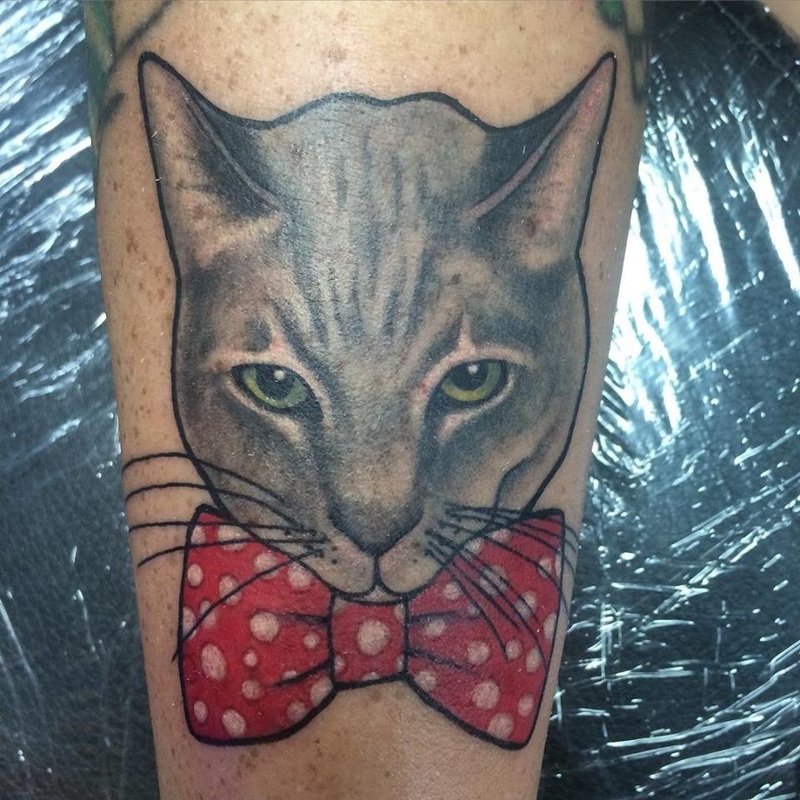 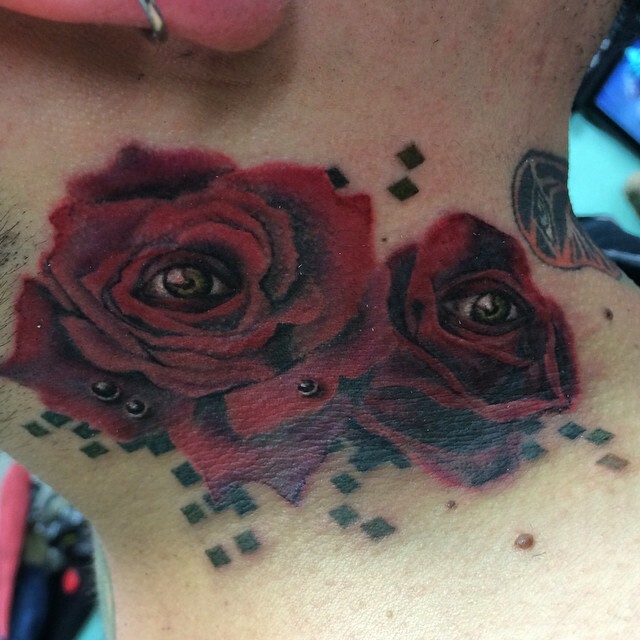 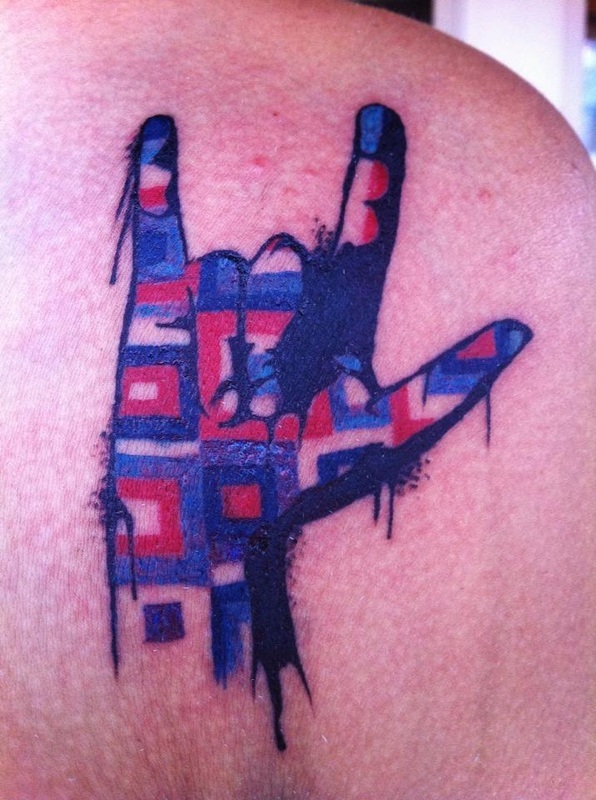 This is ultimately where I get the most satisfaction from tattooing. " 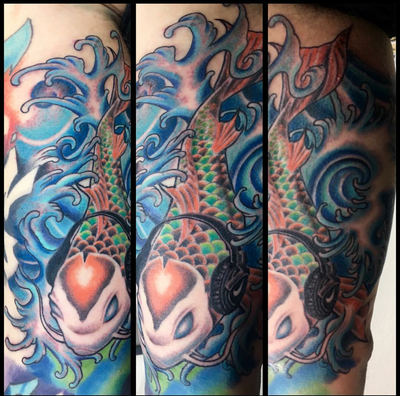 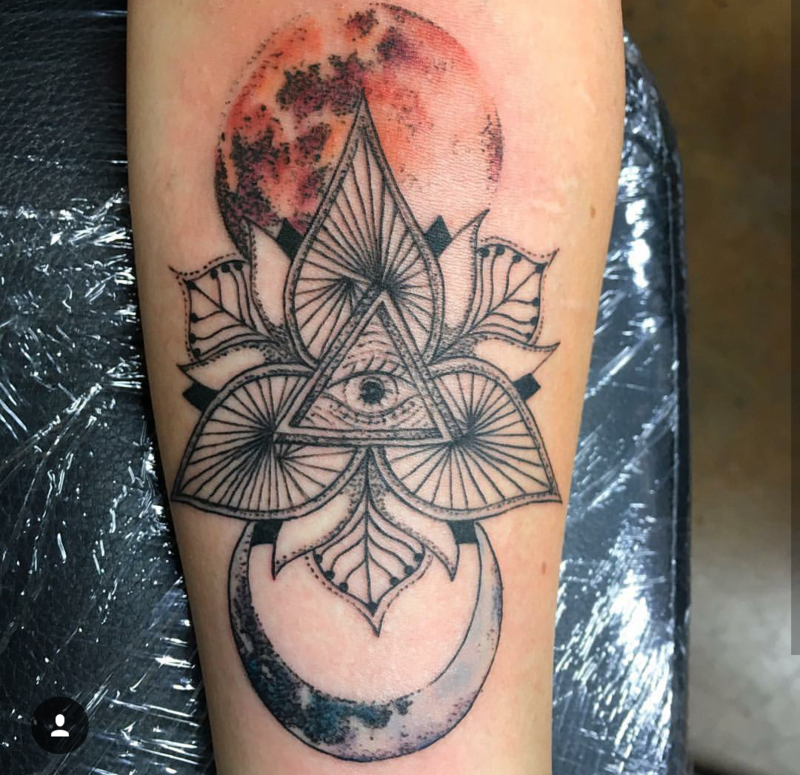 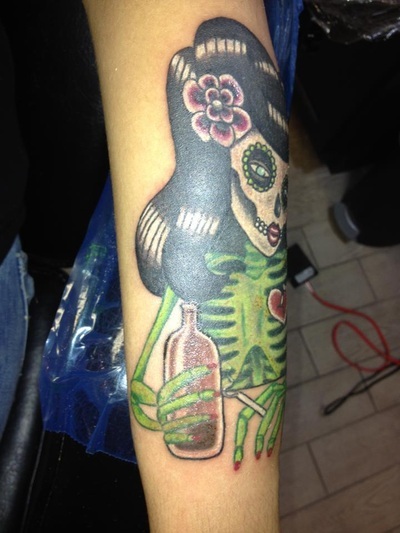 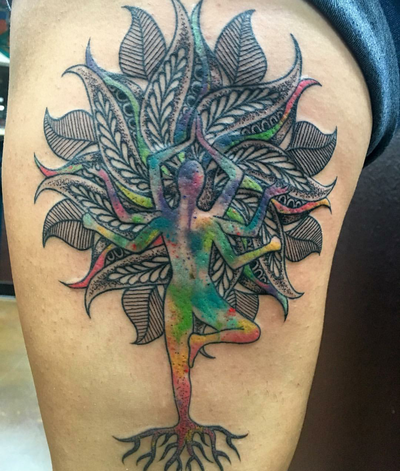 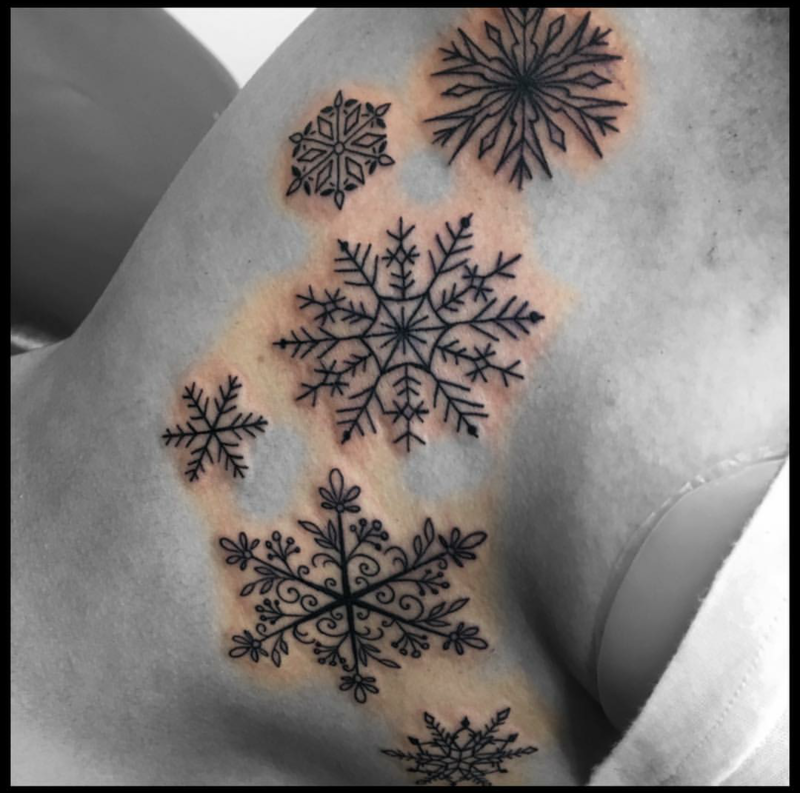 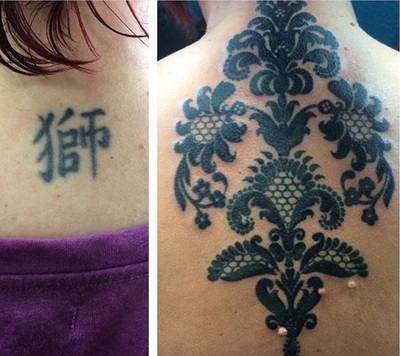 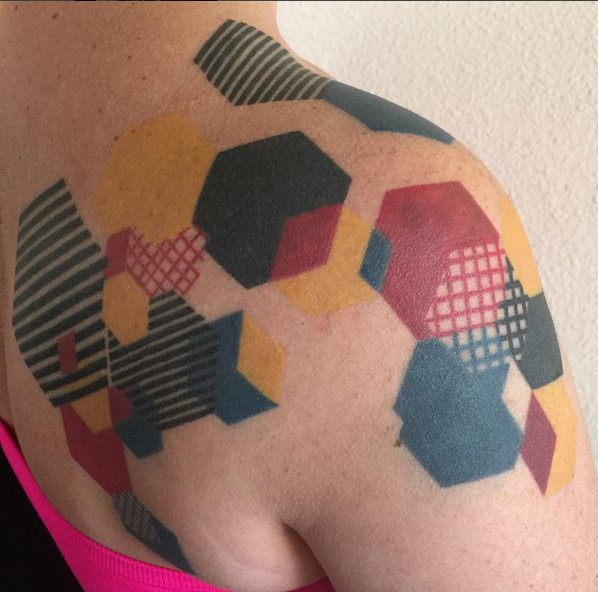 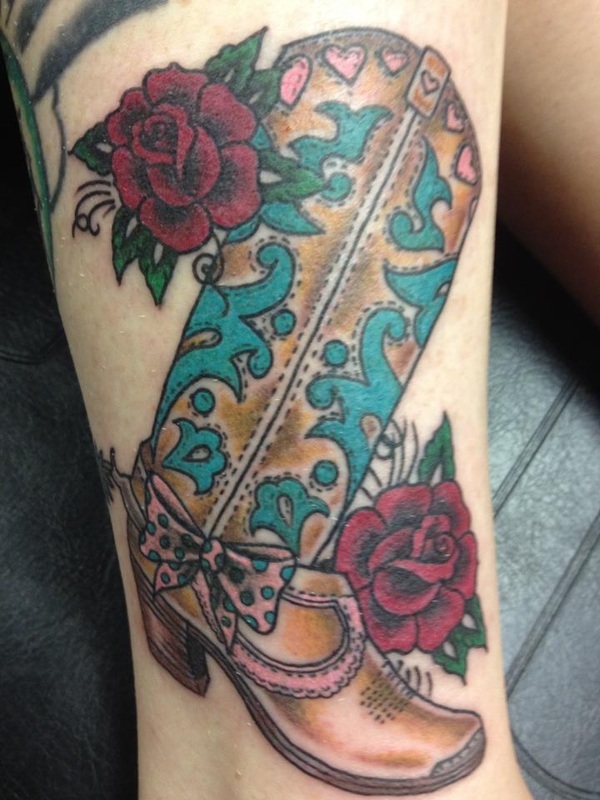 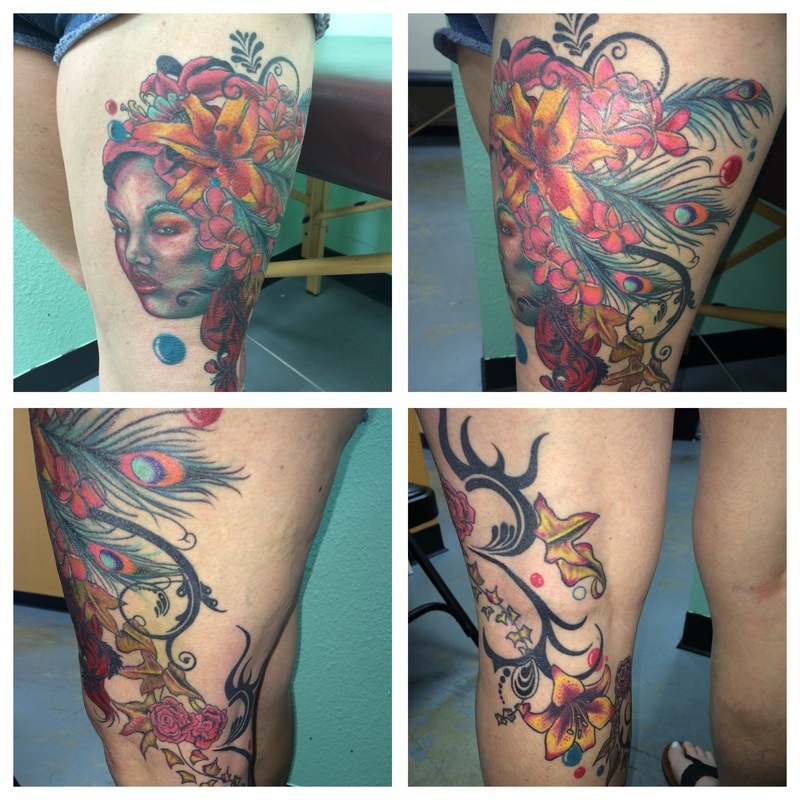 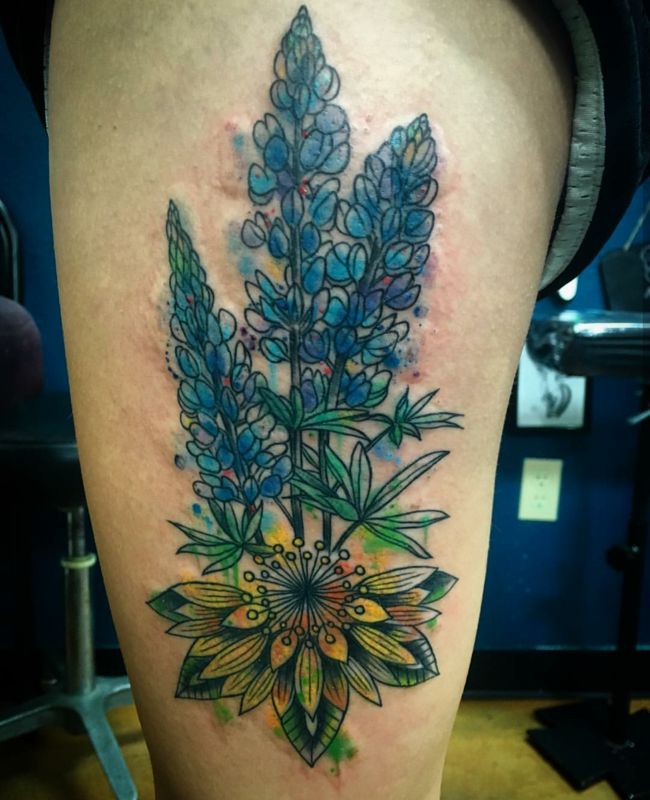 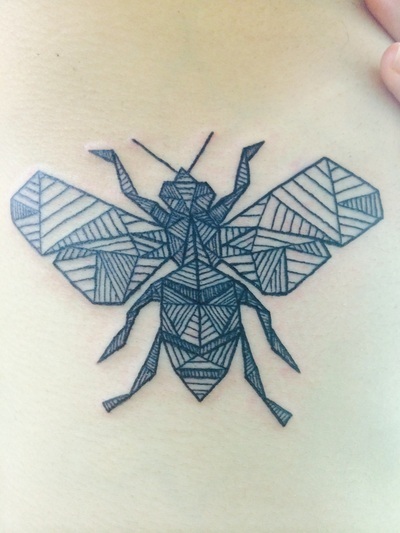 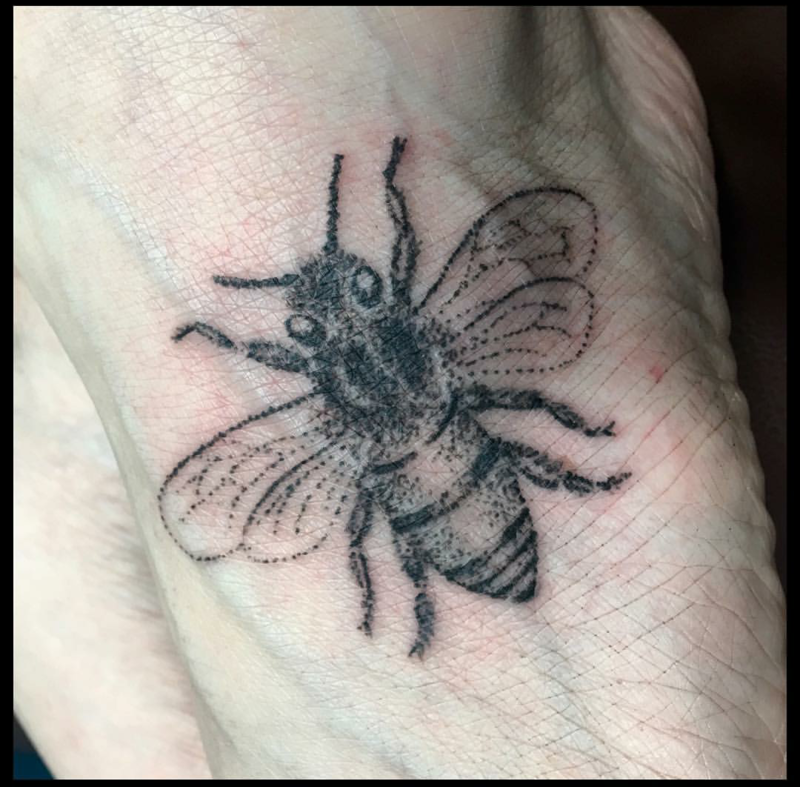 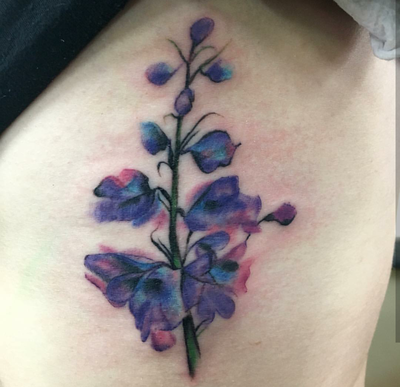 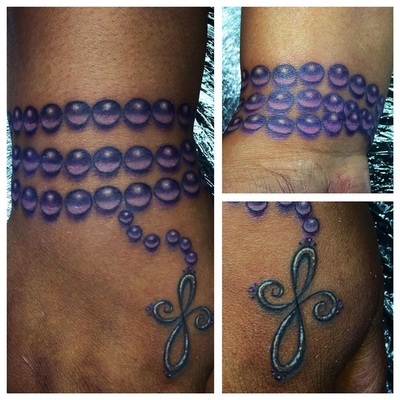 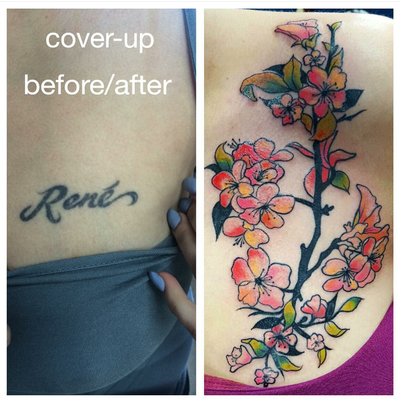 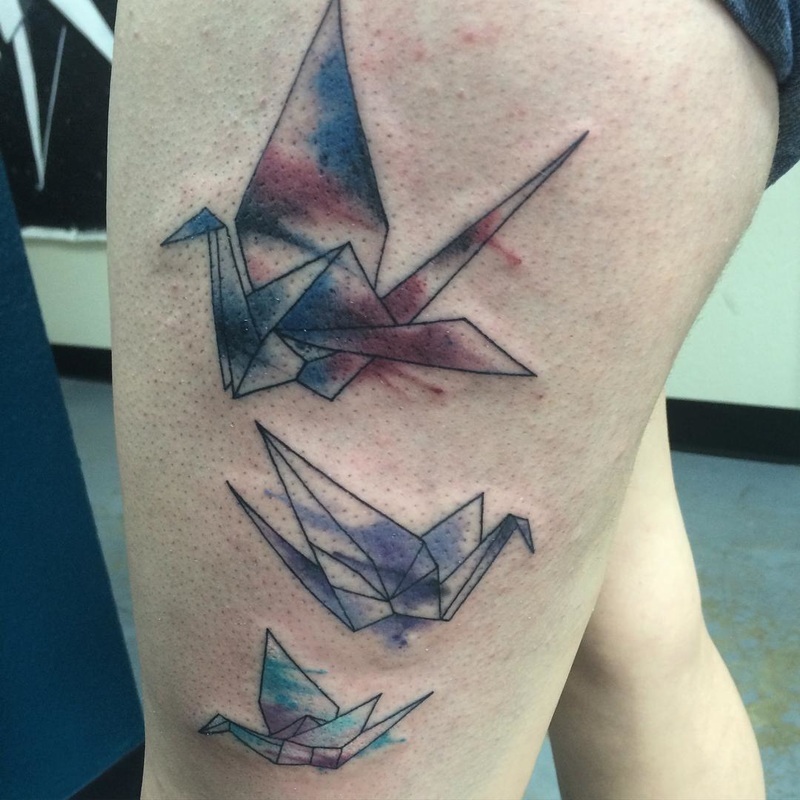 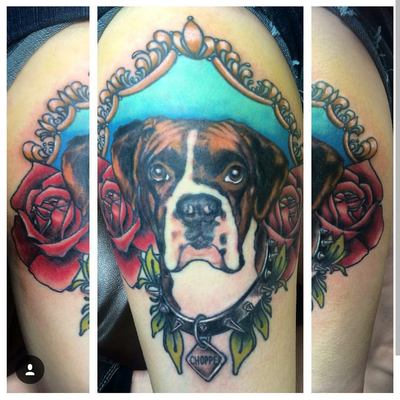 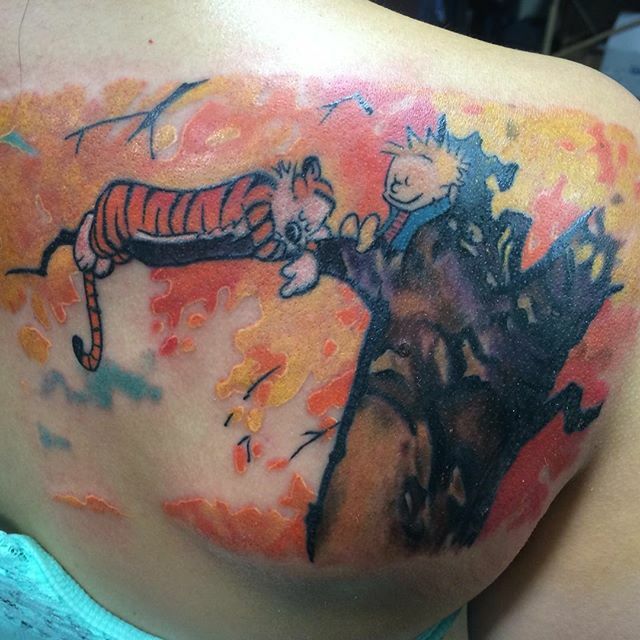 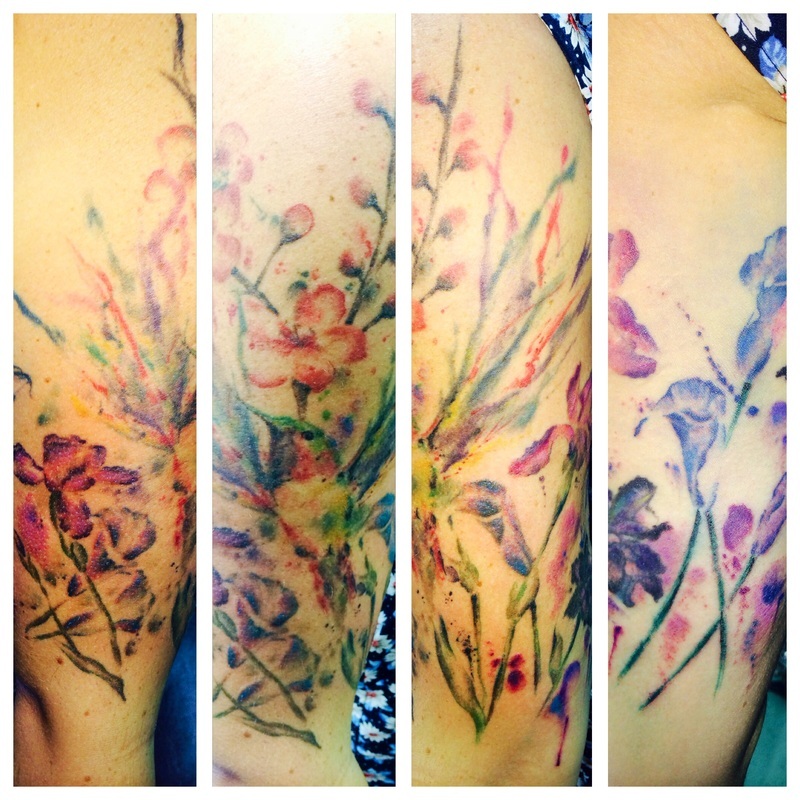 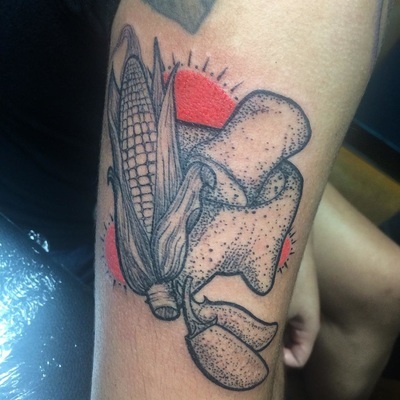 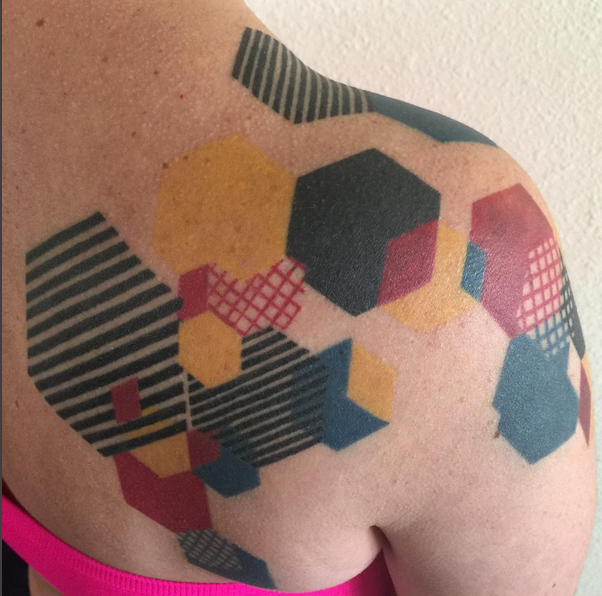 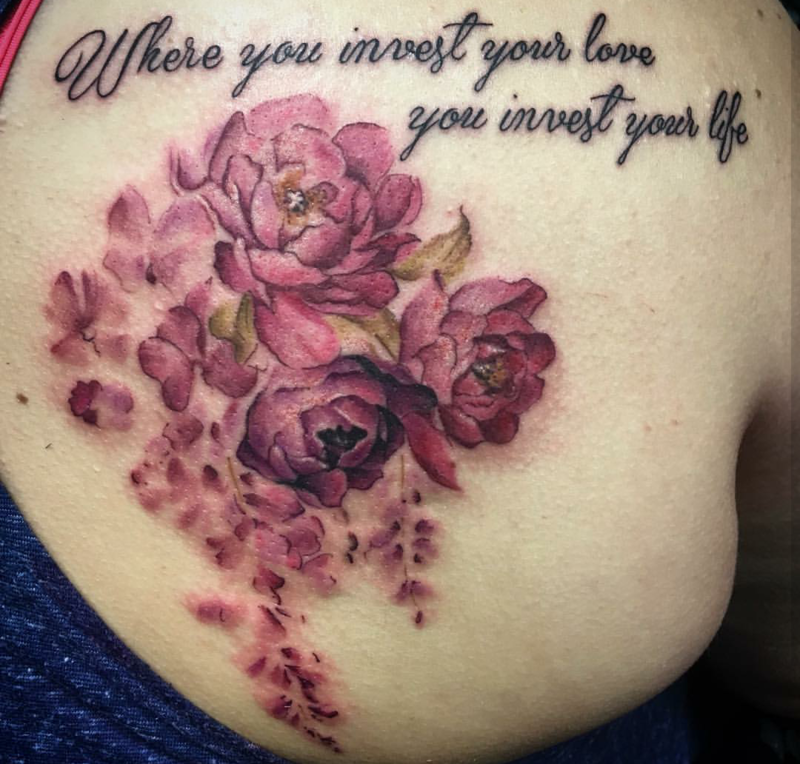 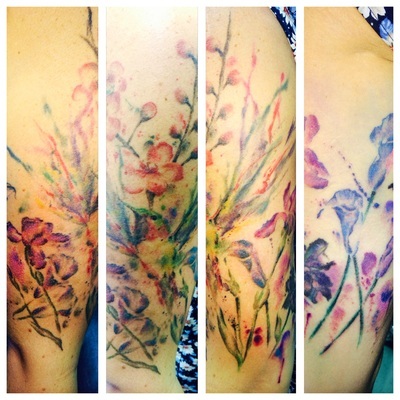 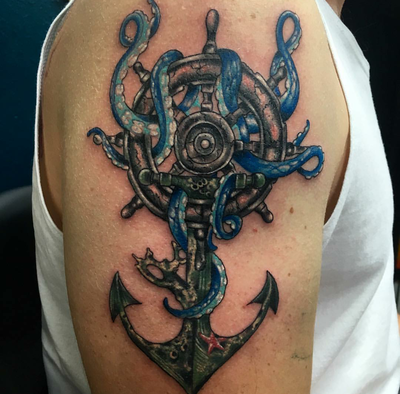 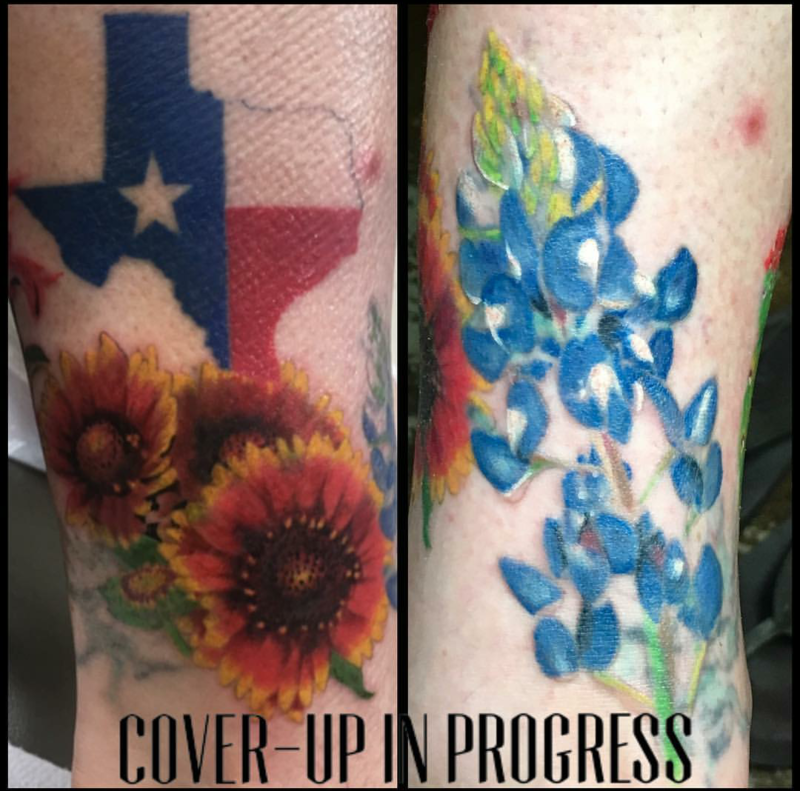 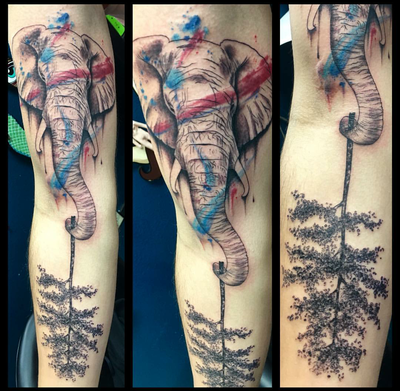 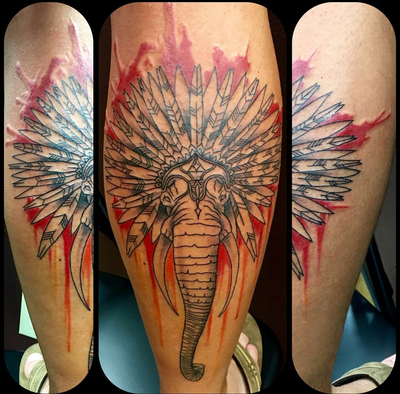 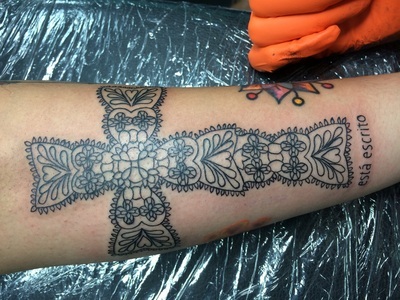 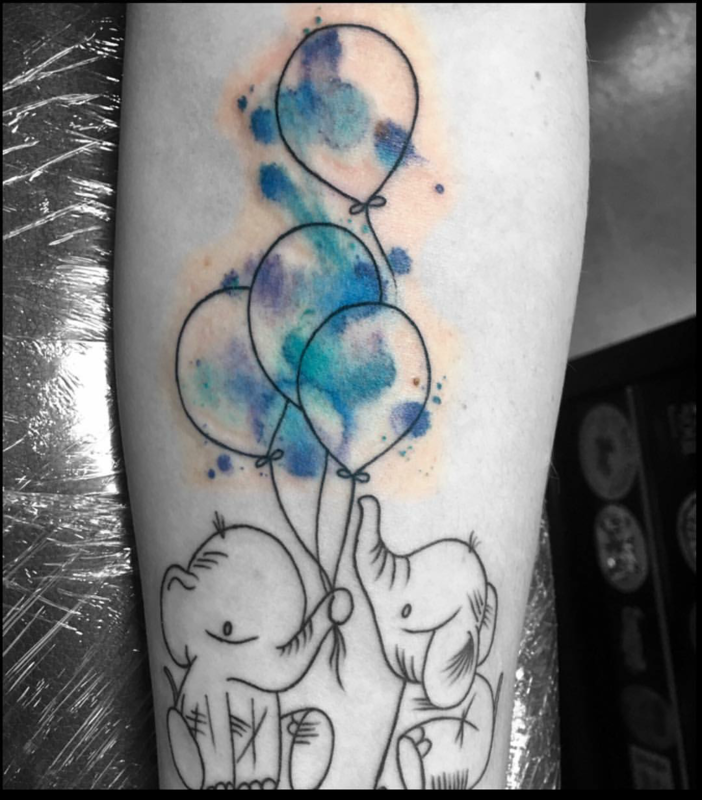 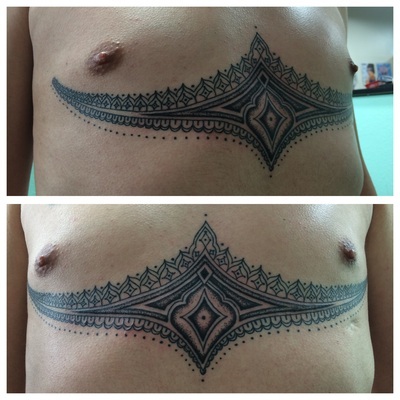 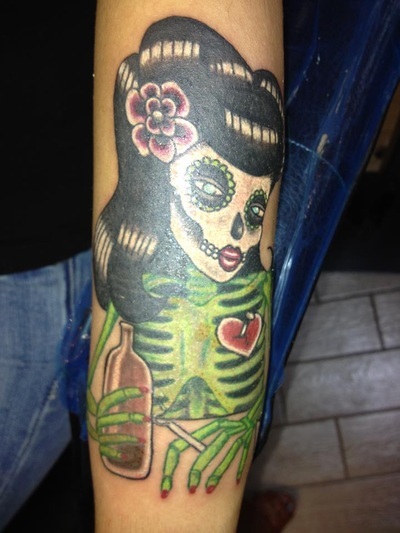 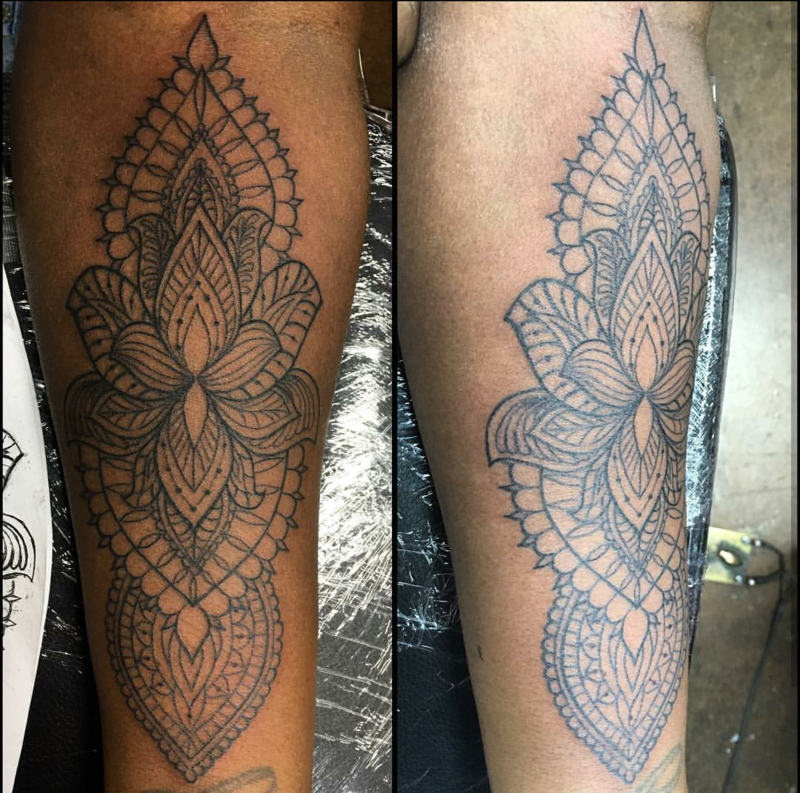 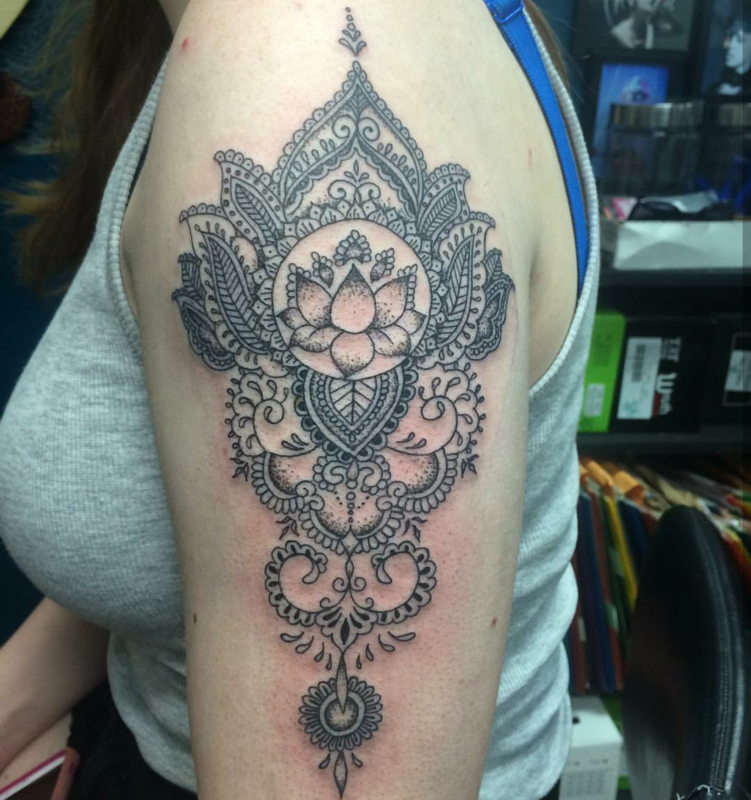 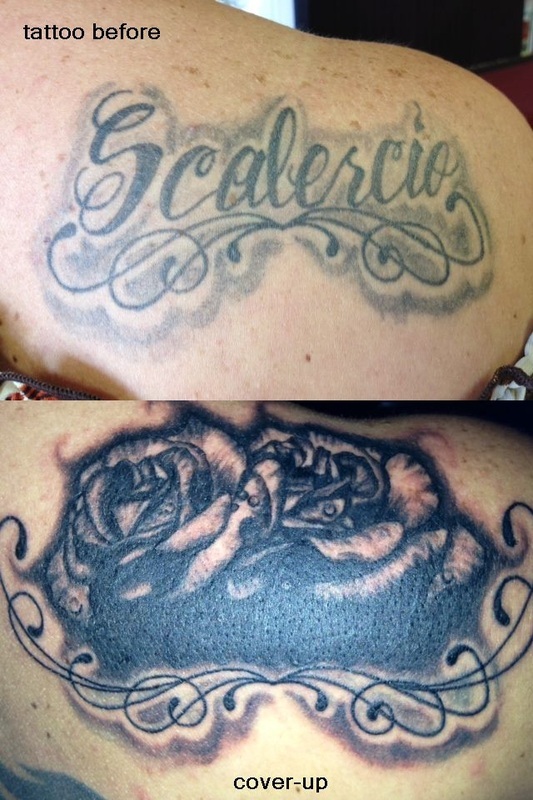 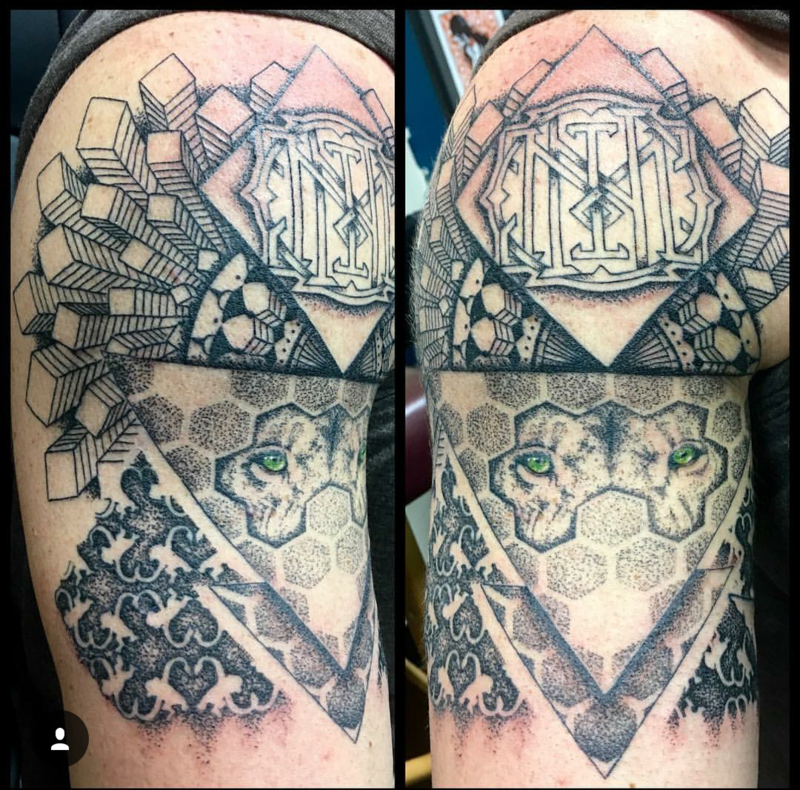 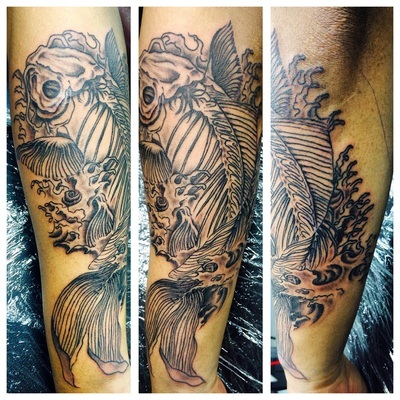 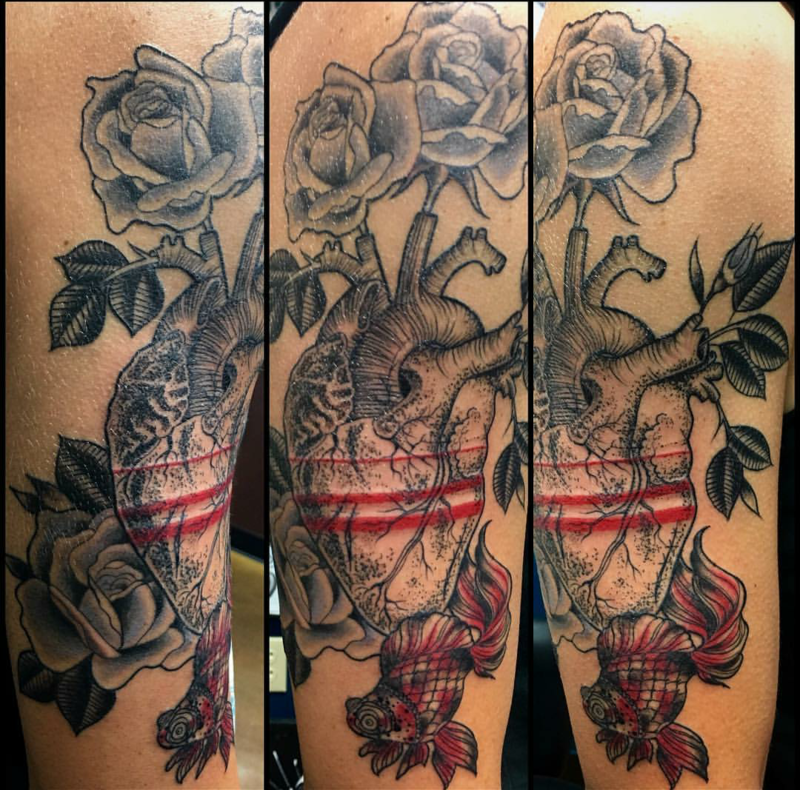 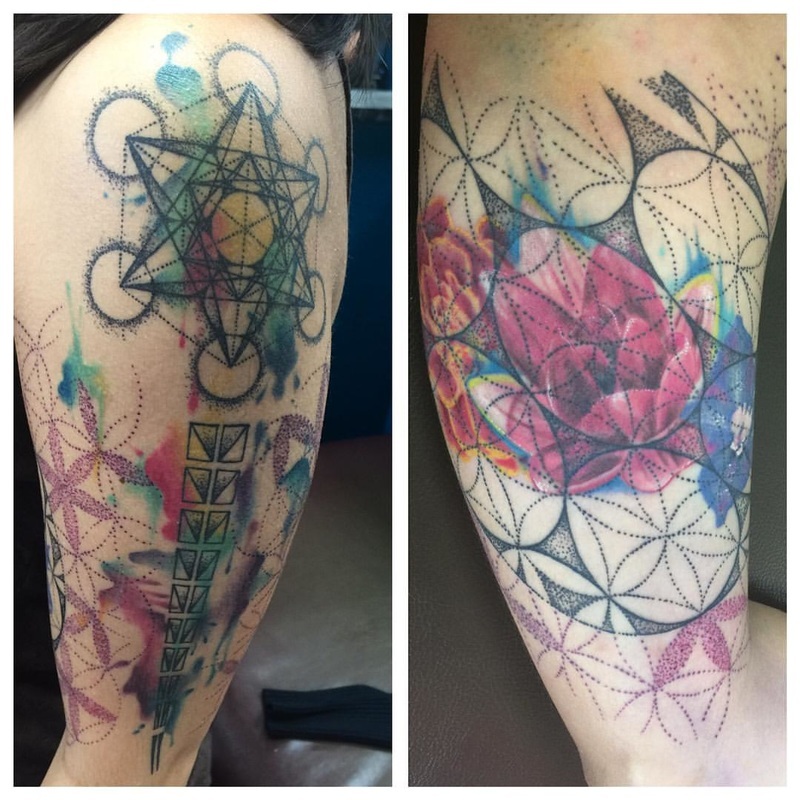 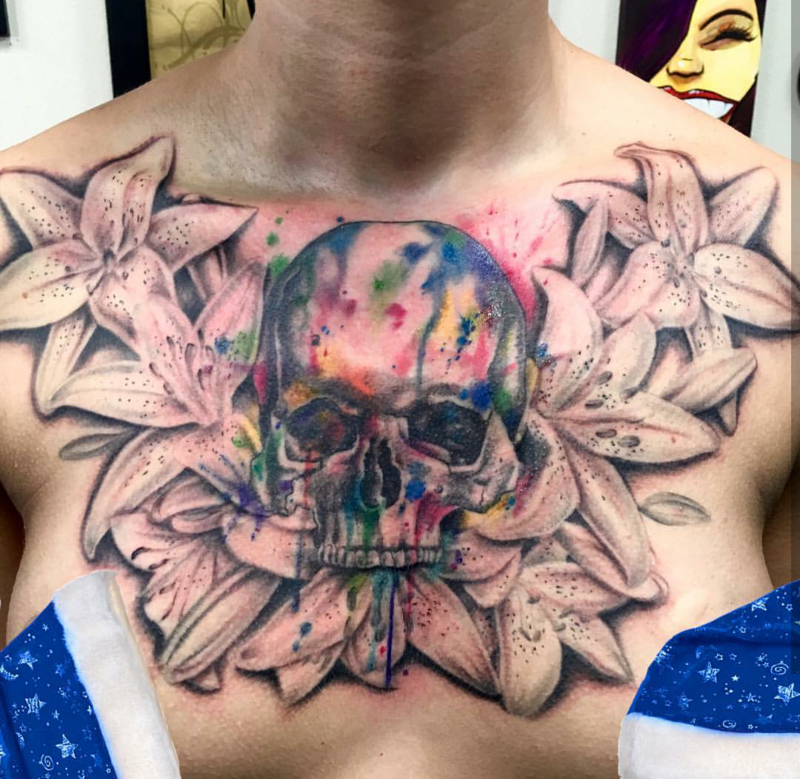 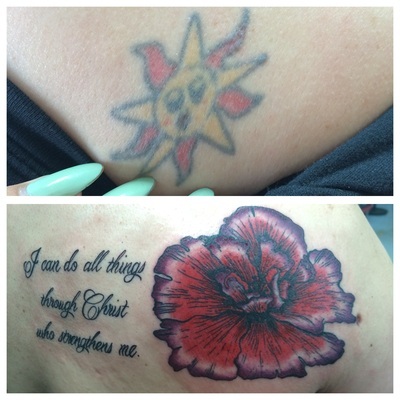 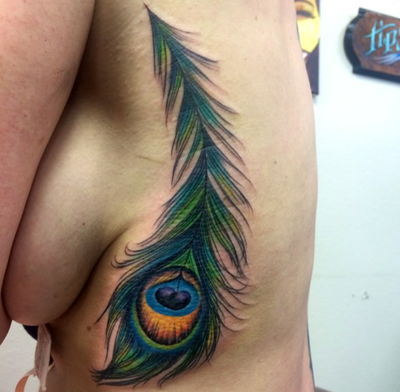 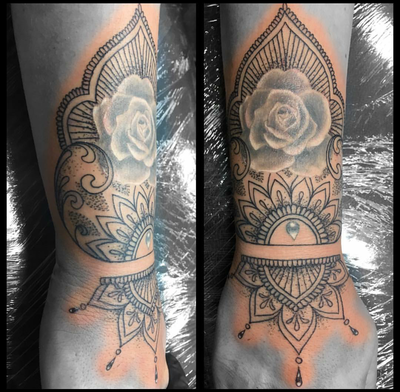 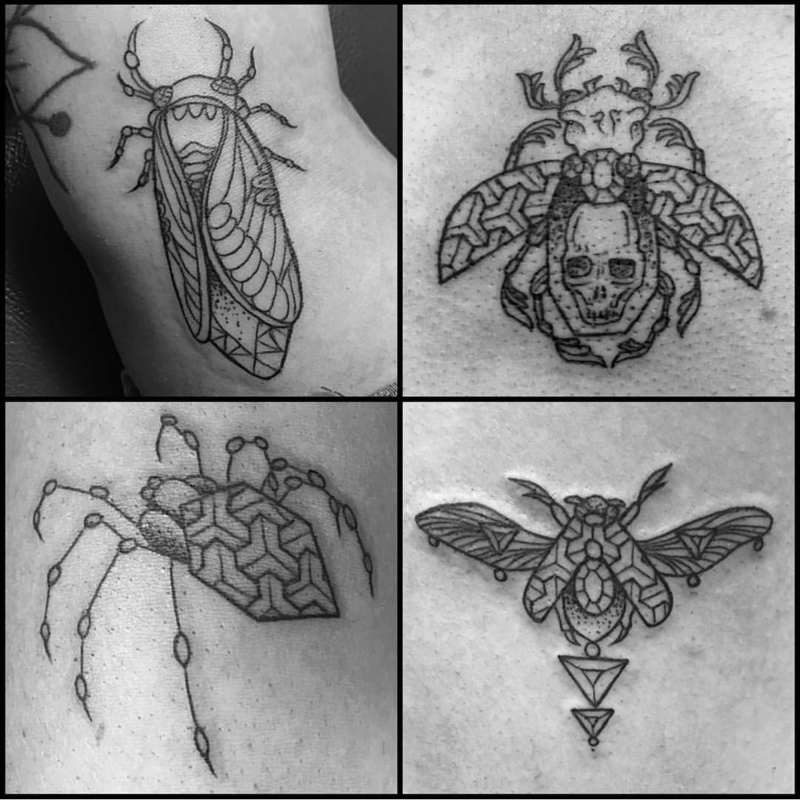 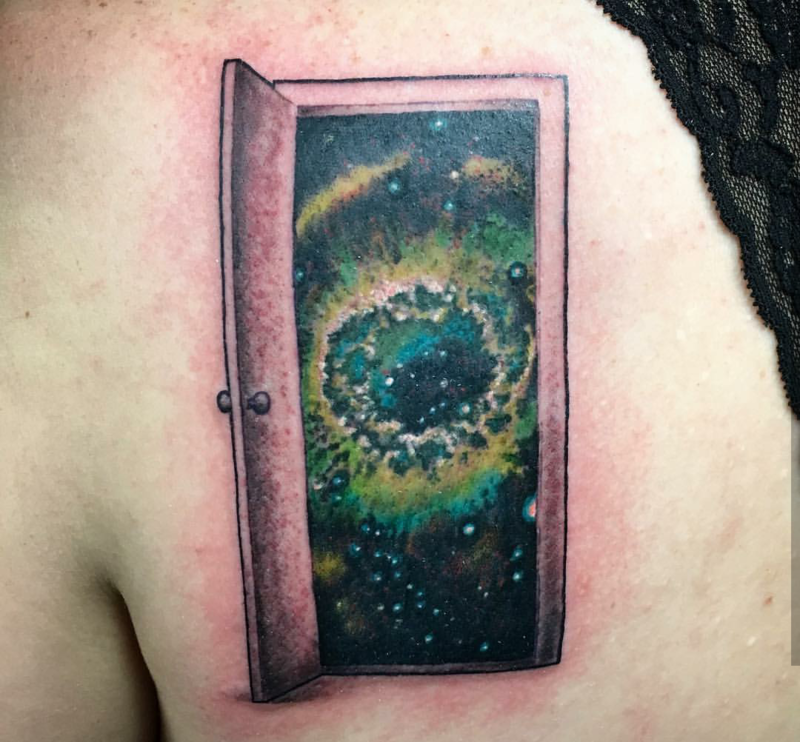 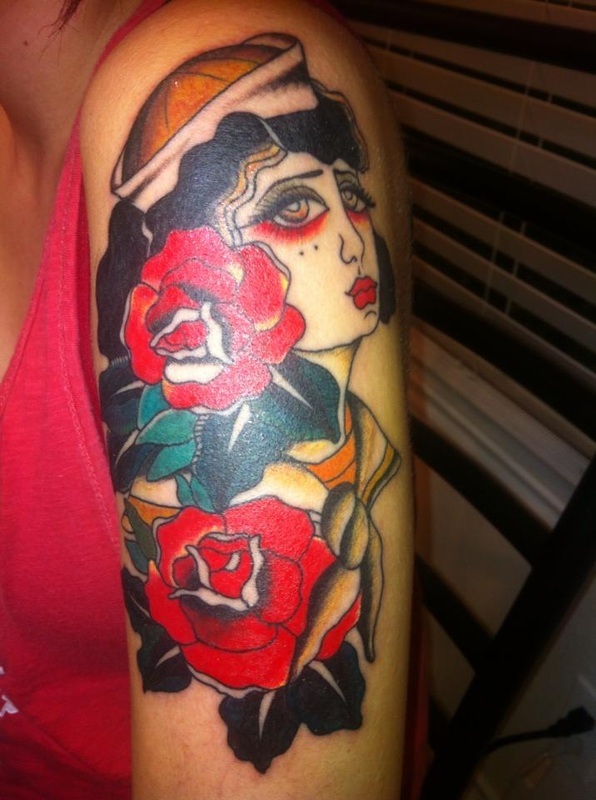 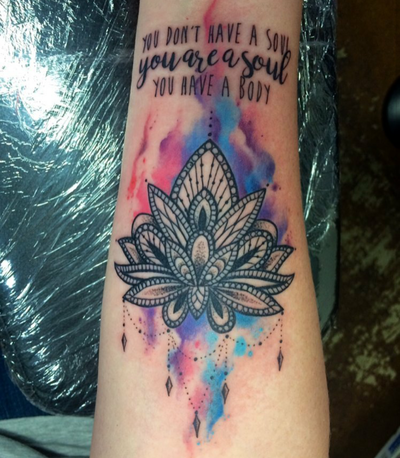 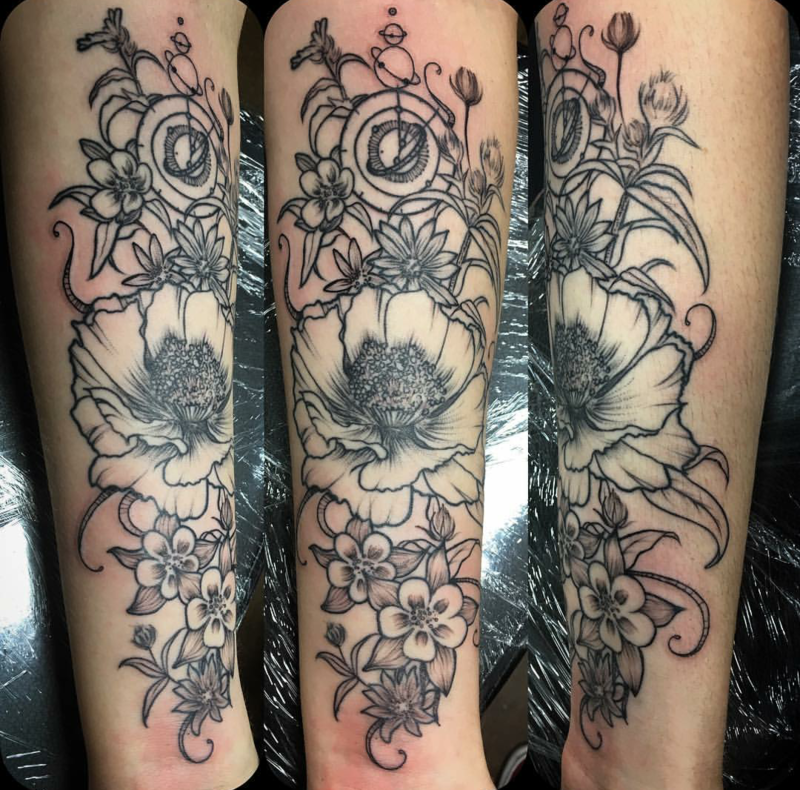 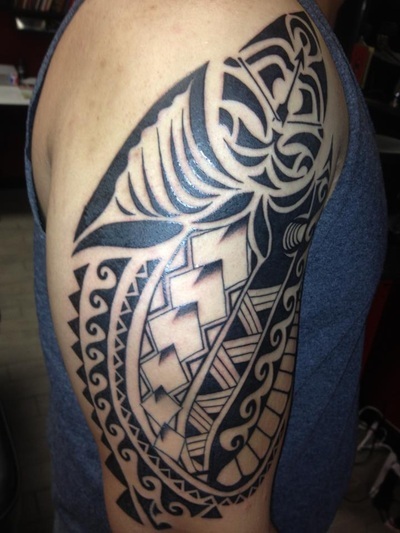 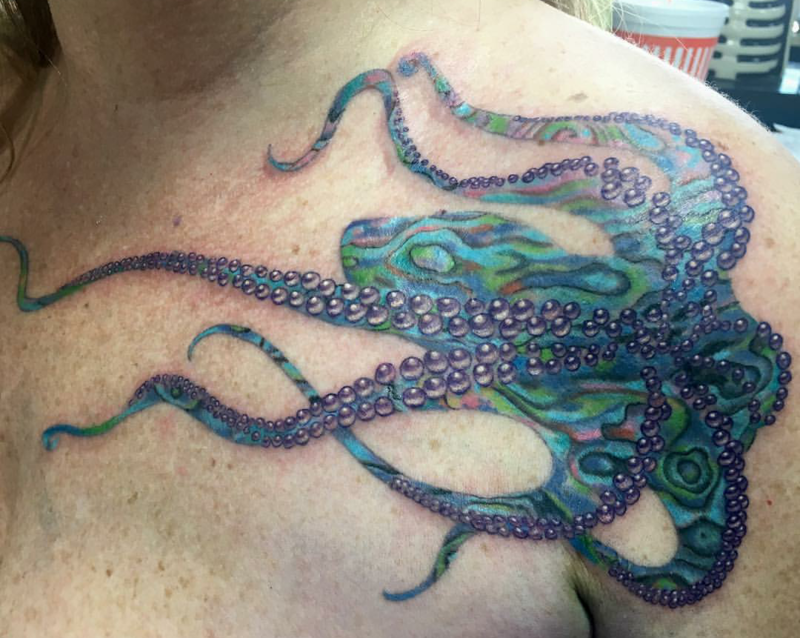 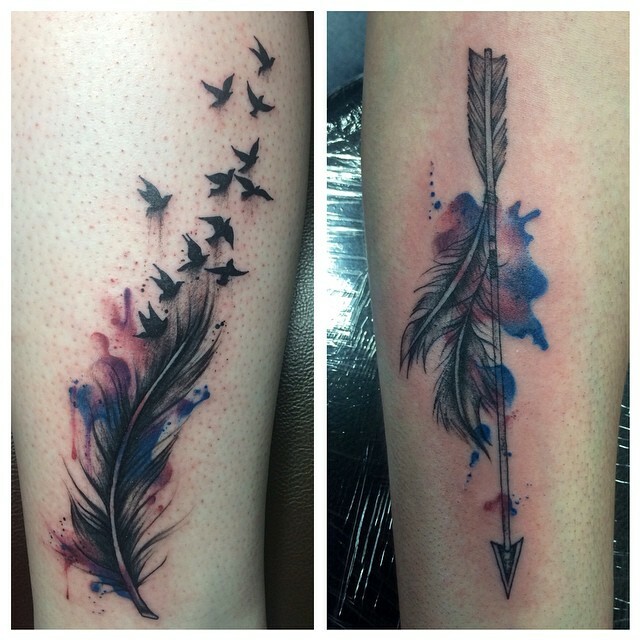 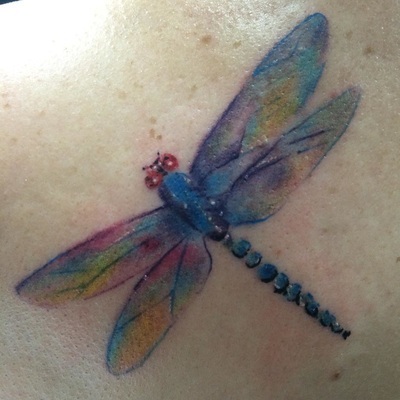 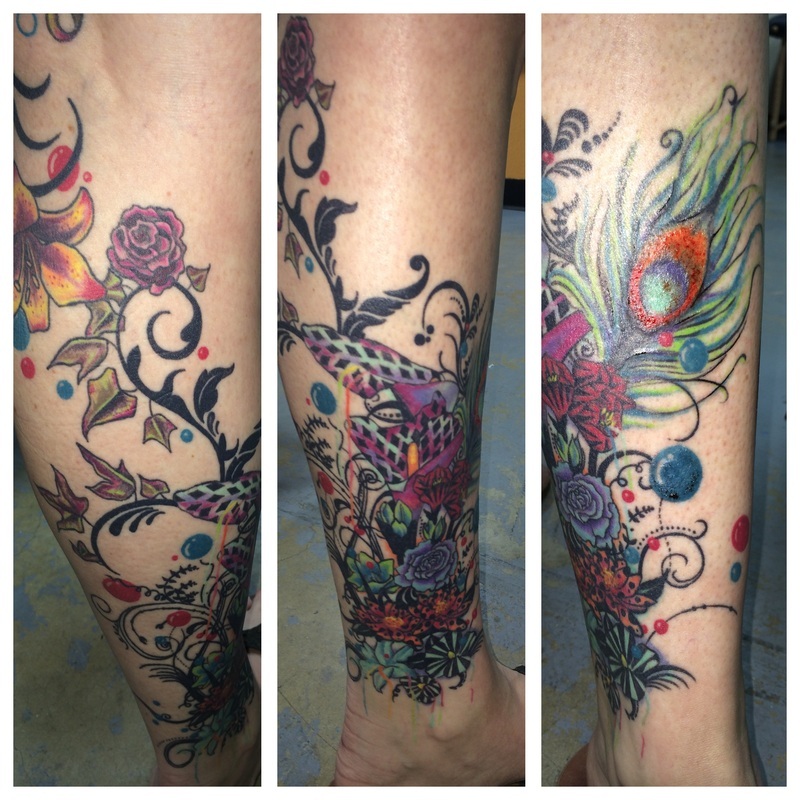 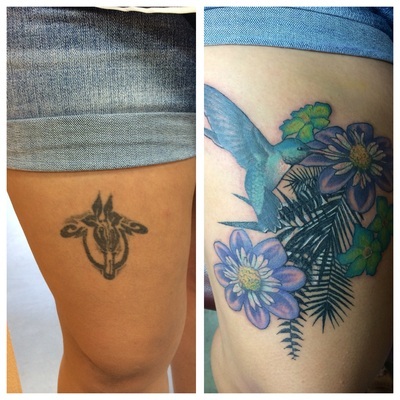 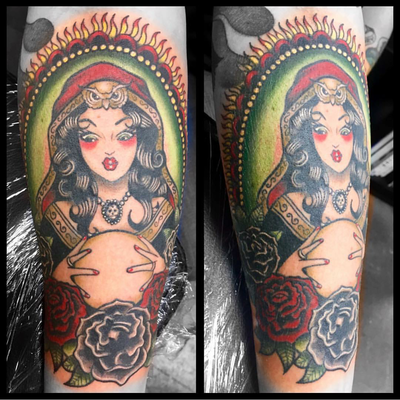 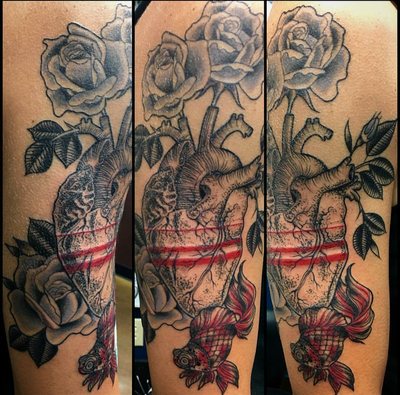 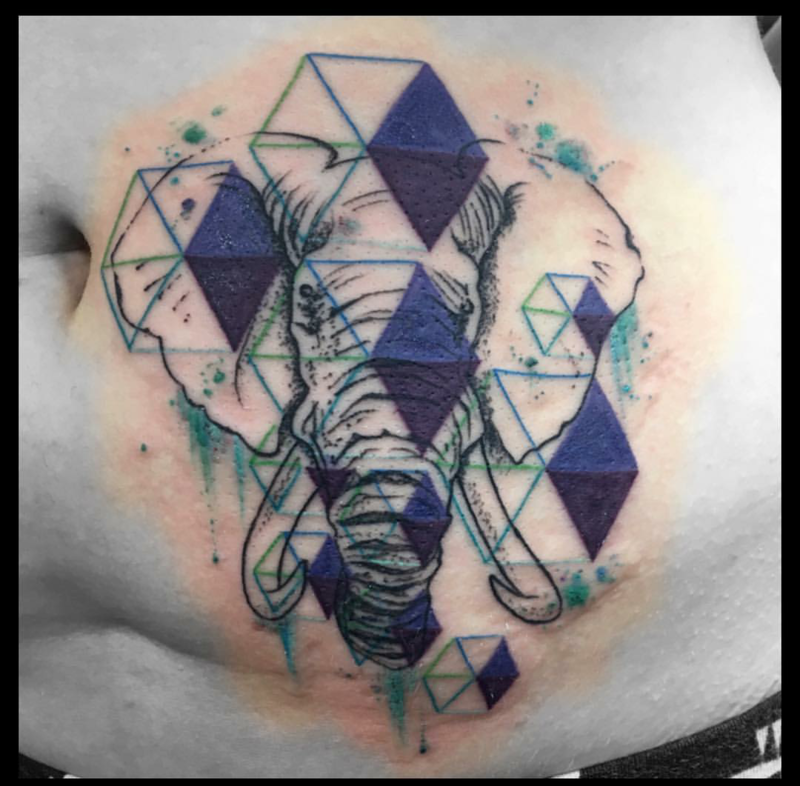 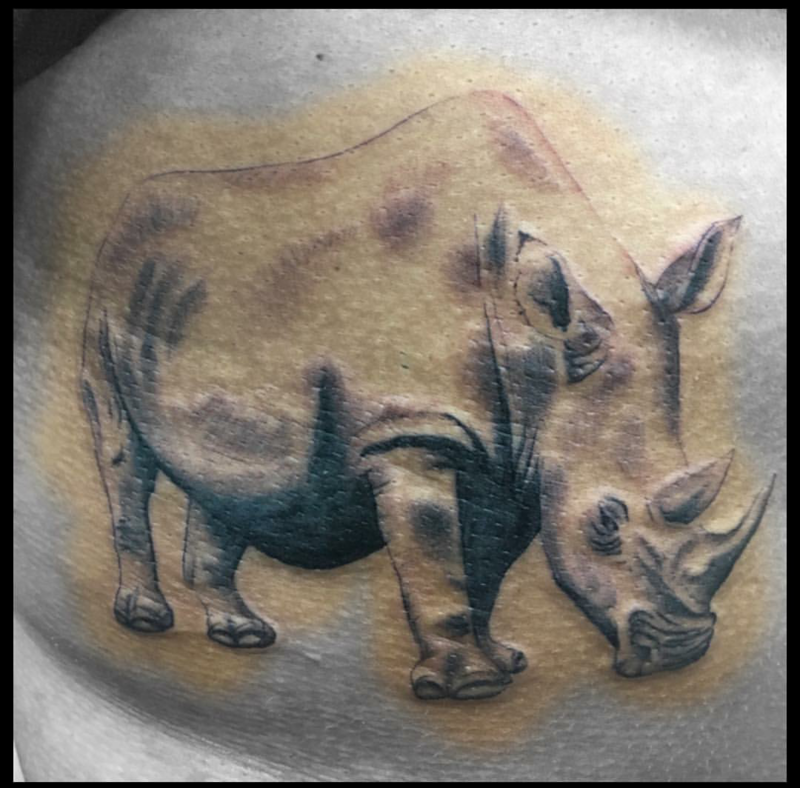 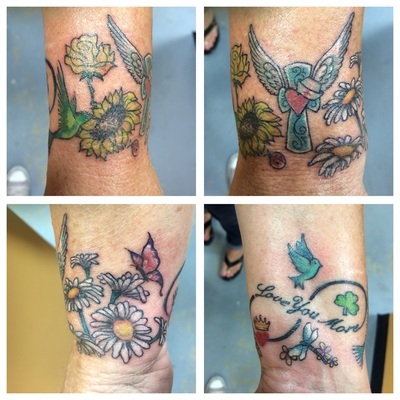 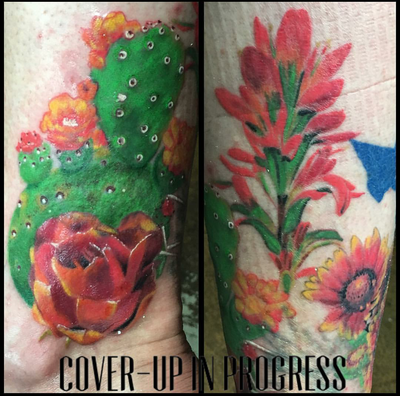 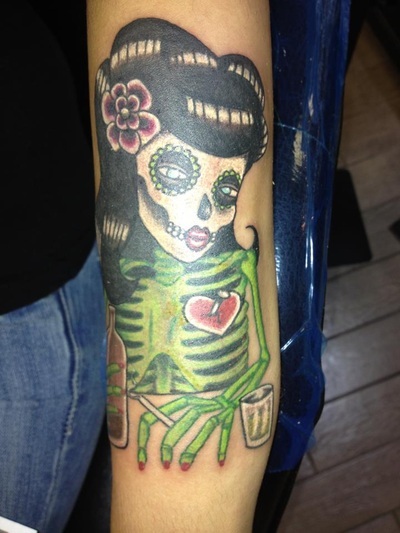 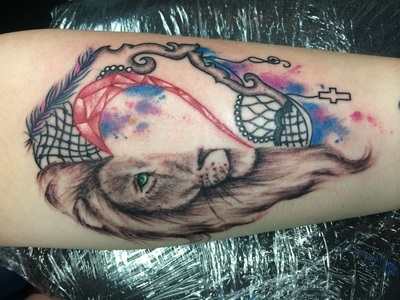 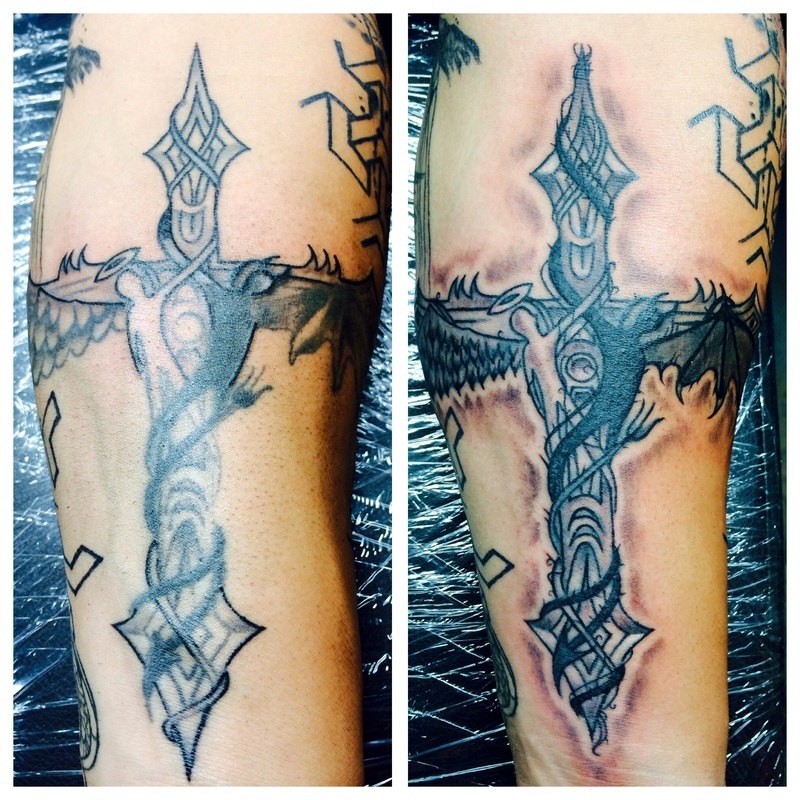 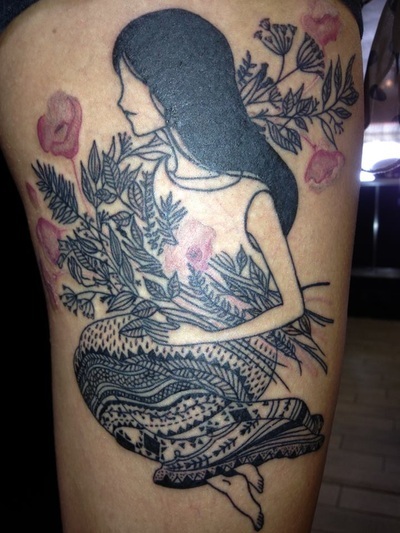 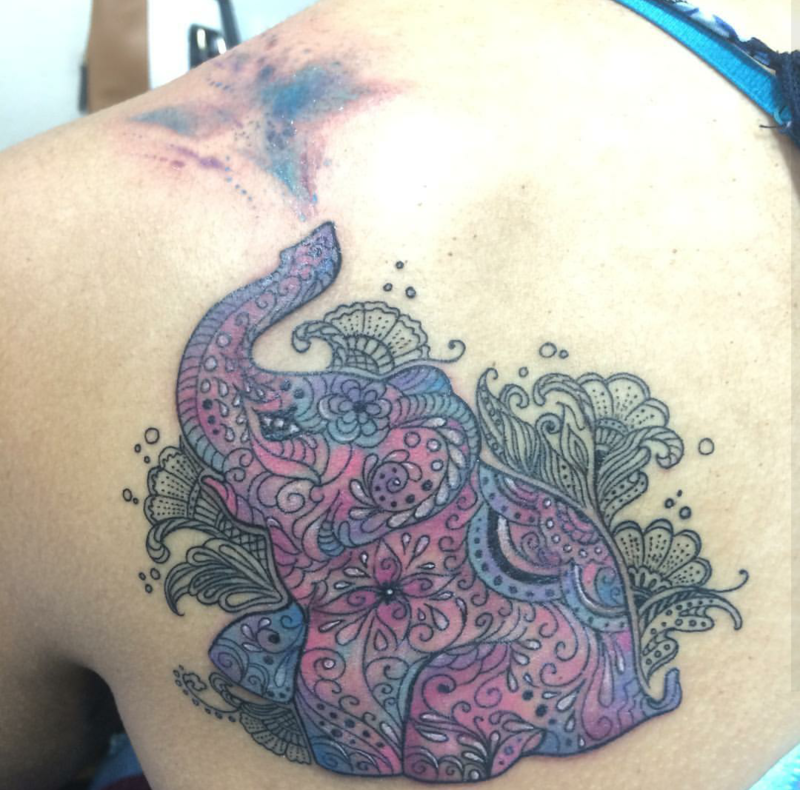 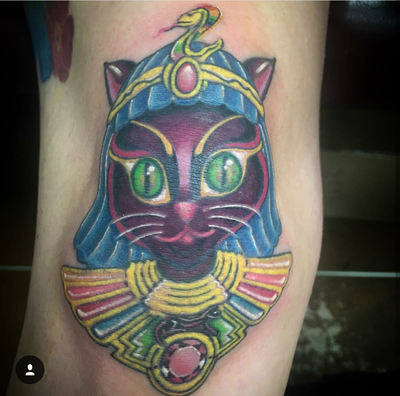 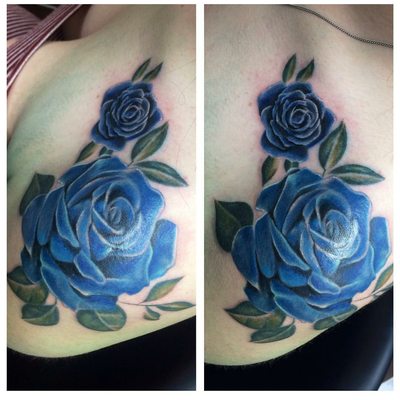 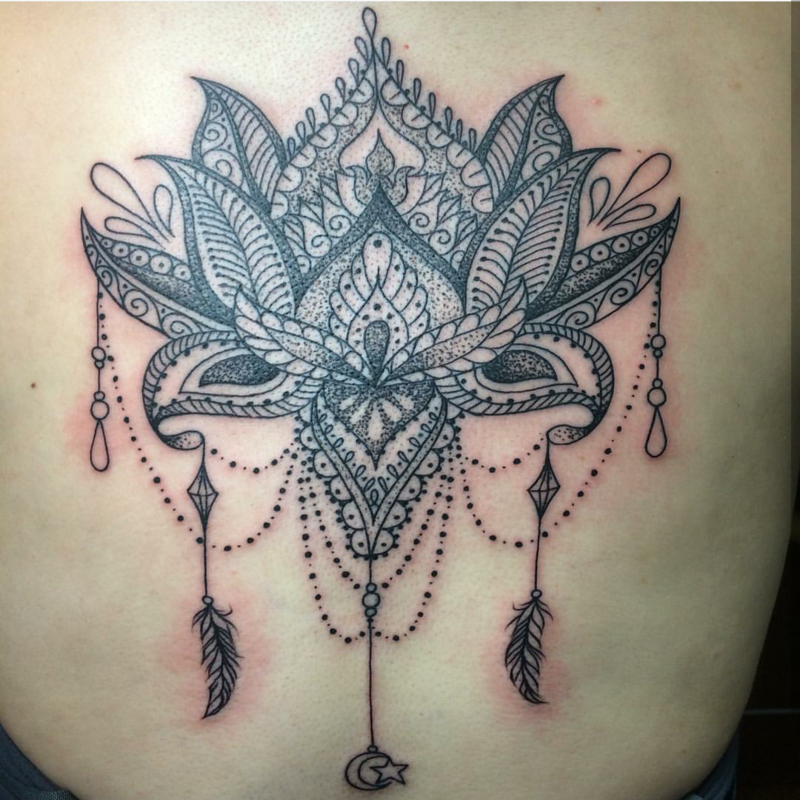 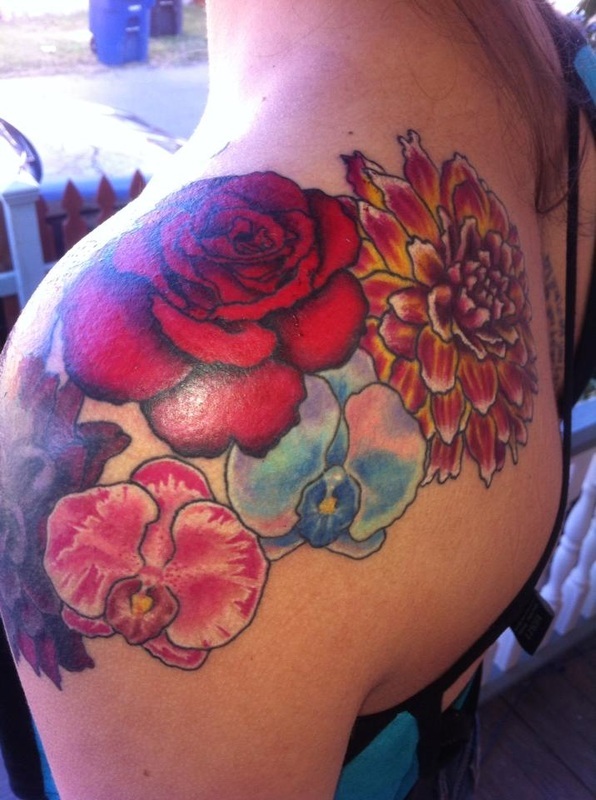 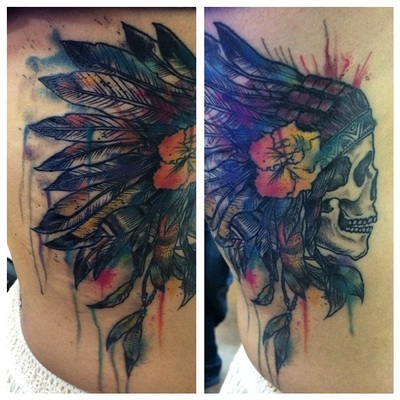 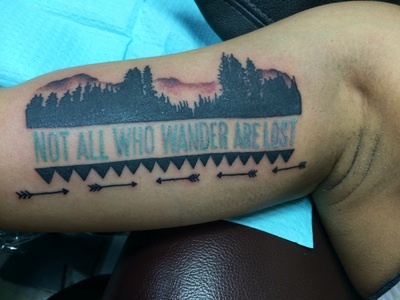 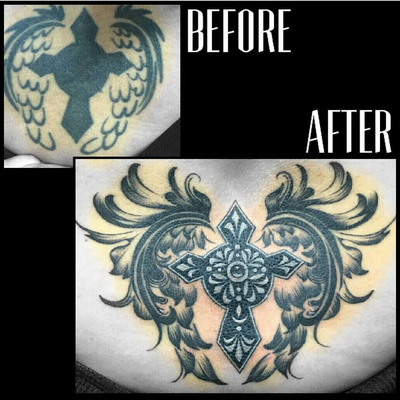 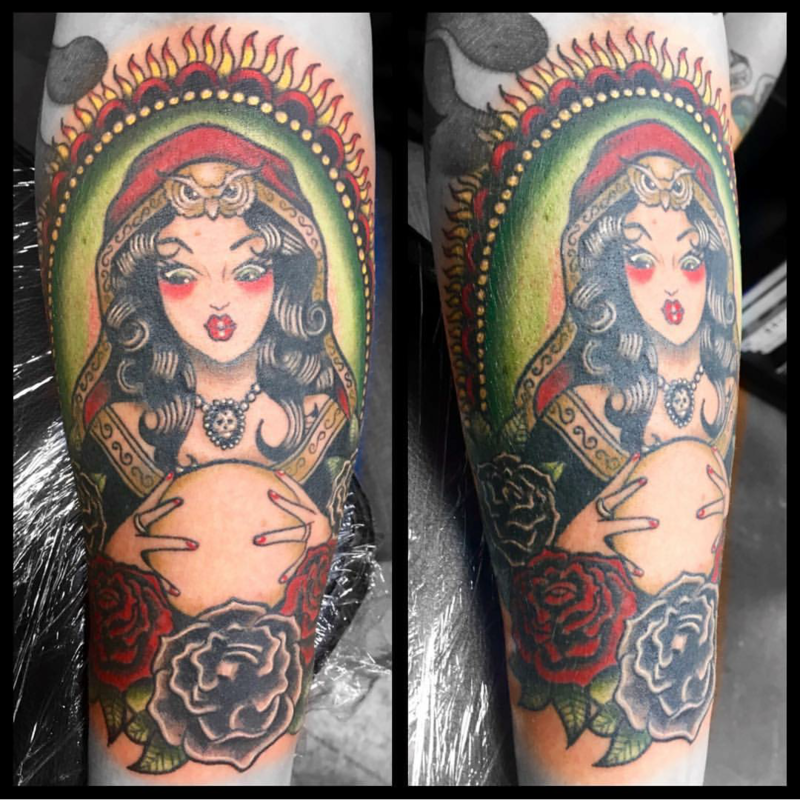 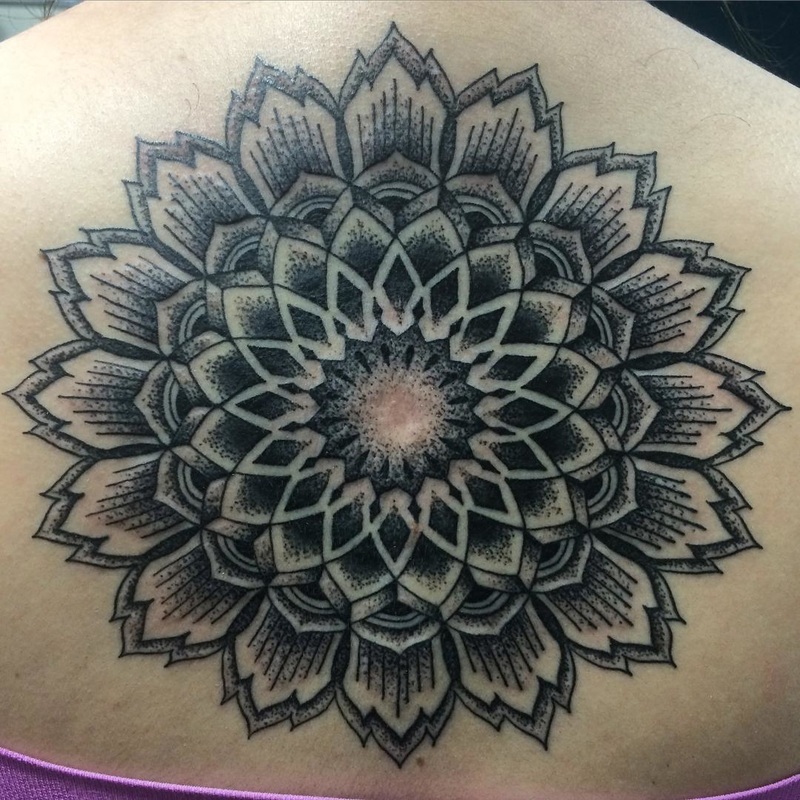 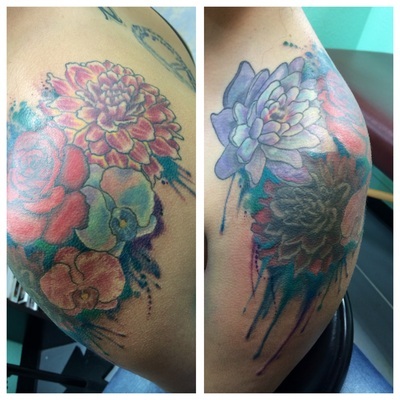 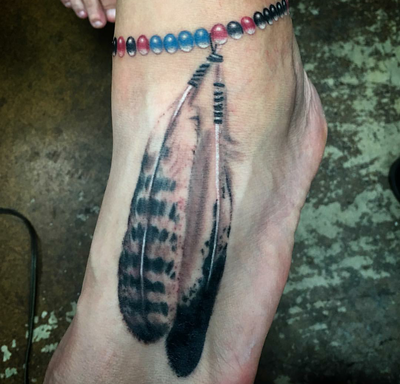 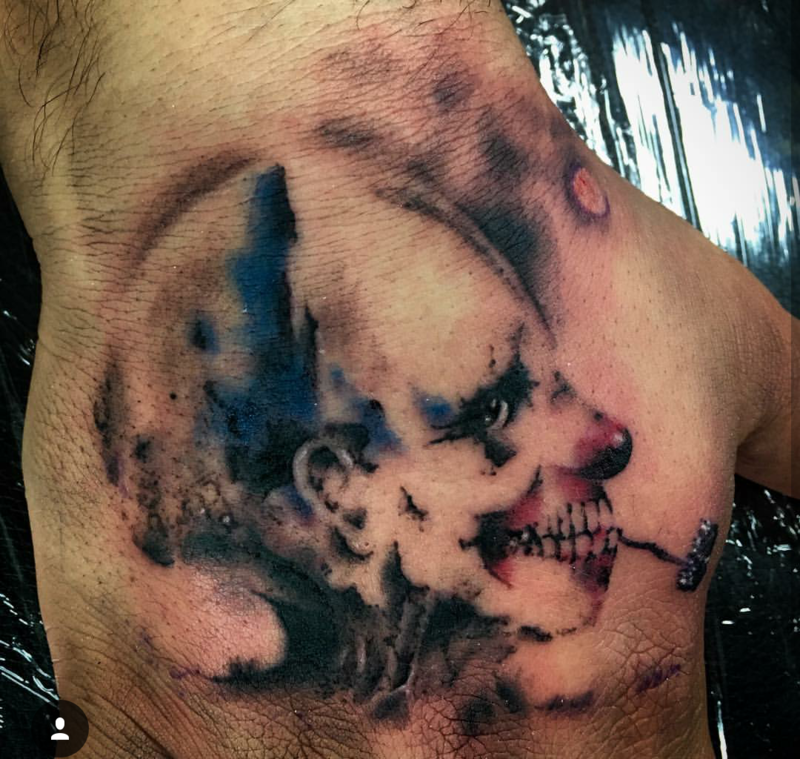 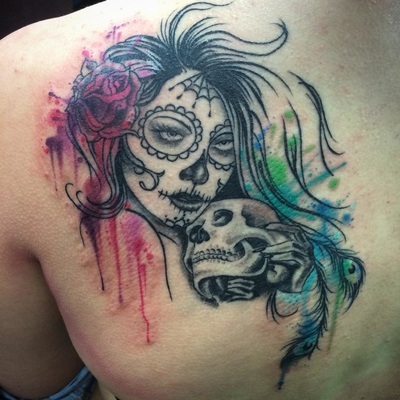 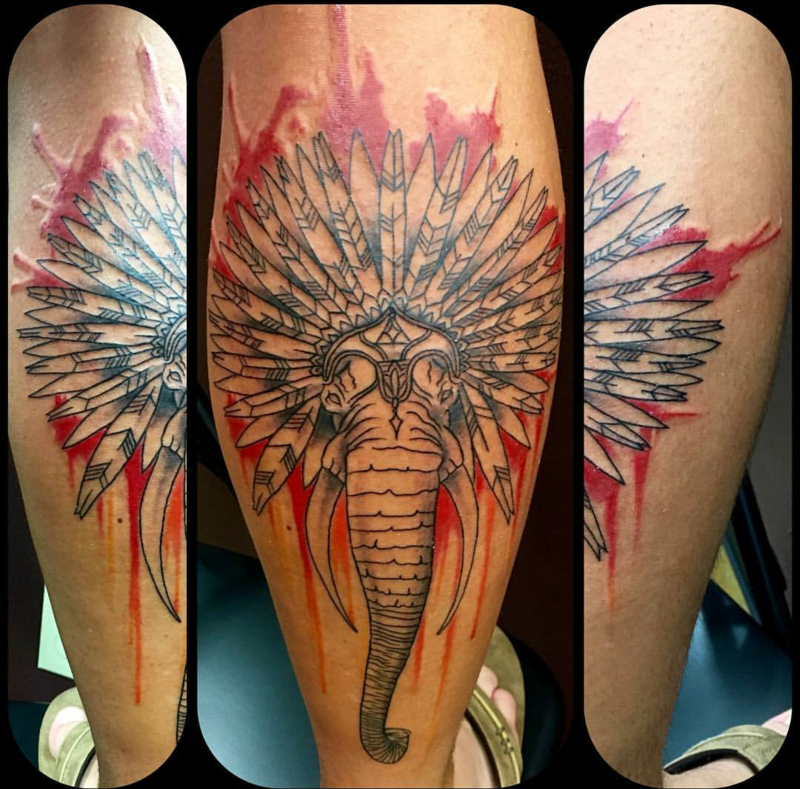 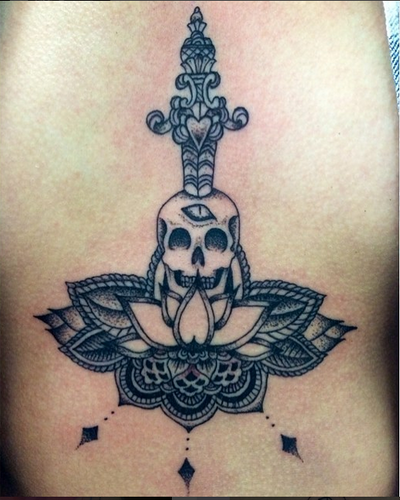 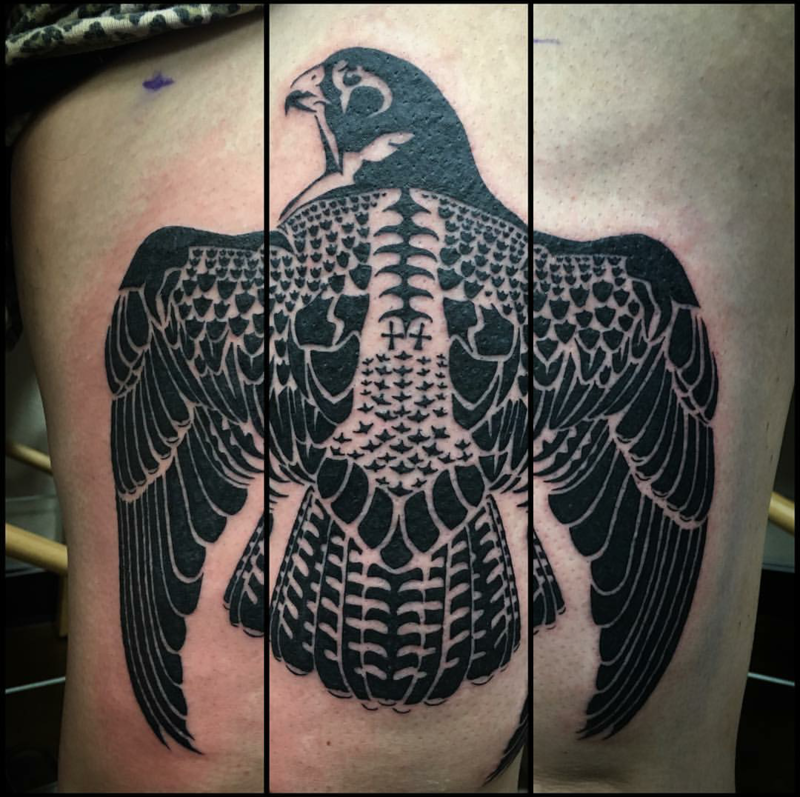 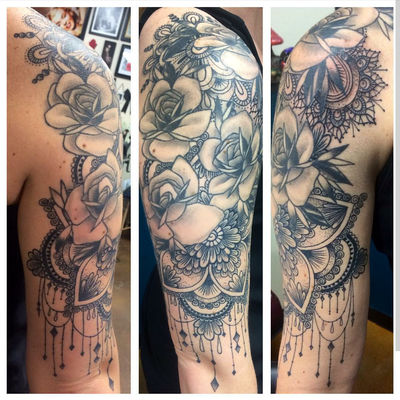 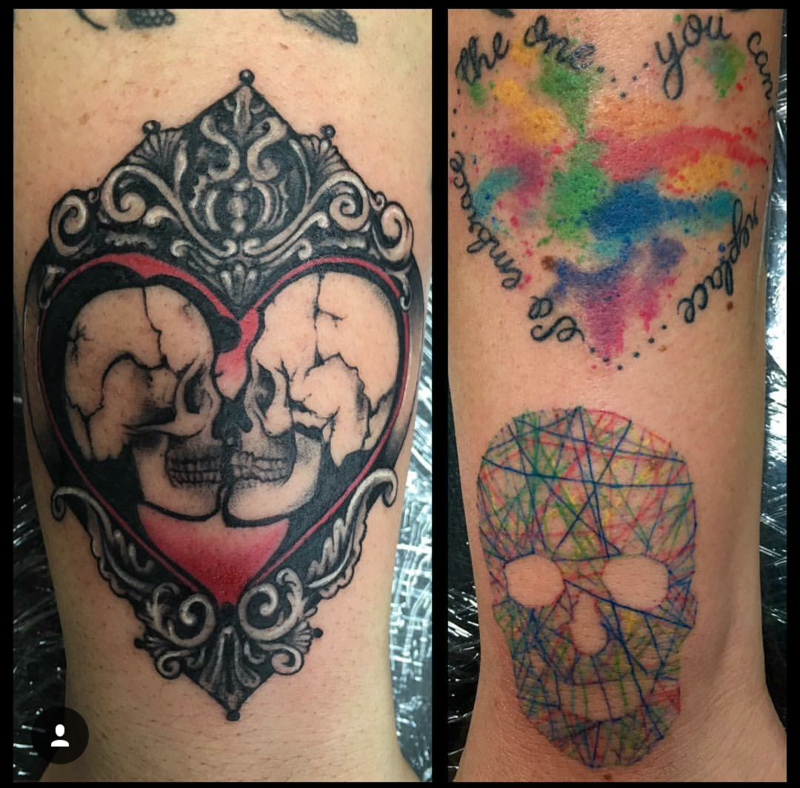 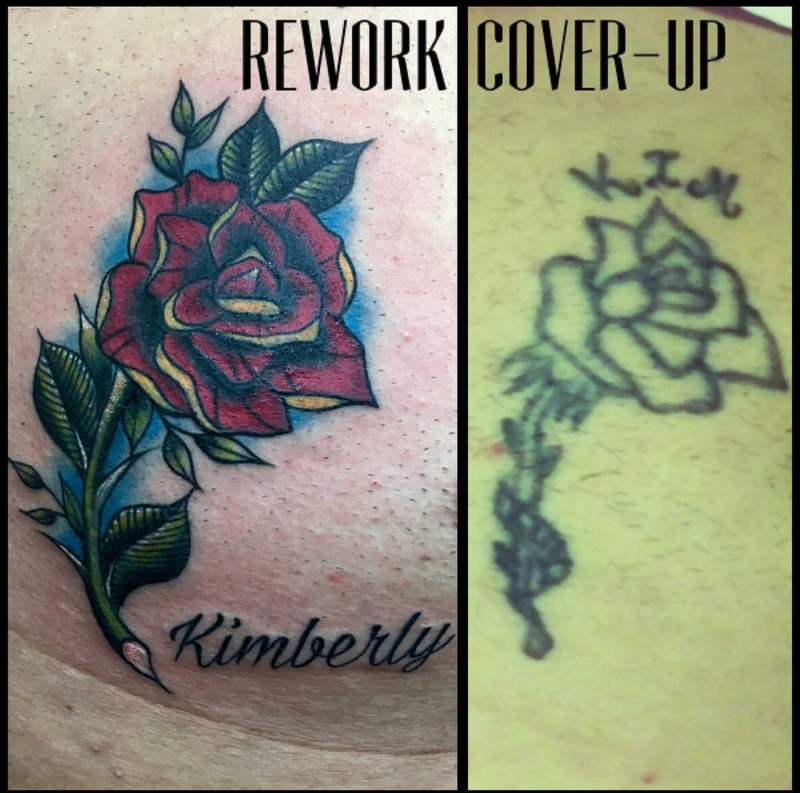 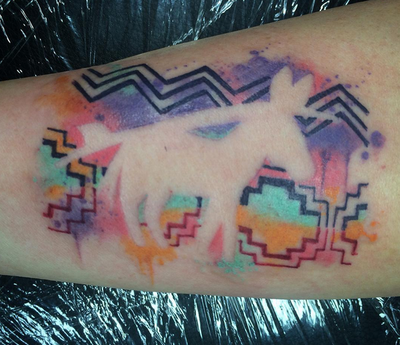 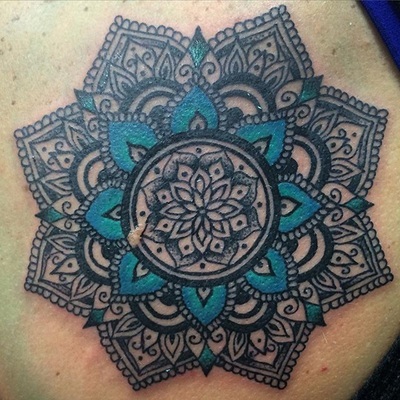 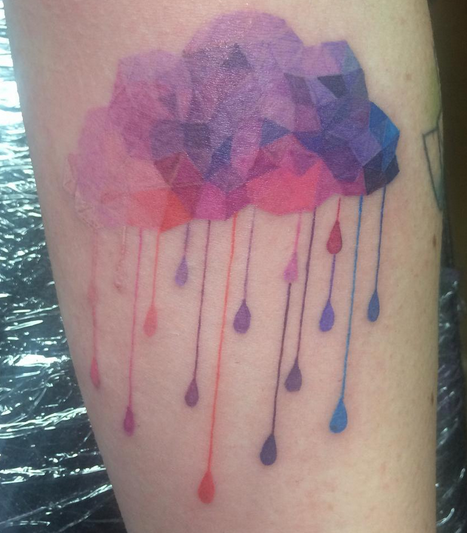 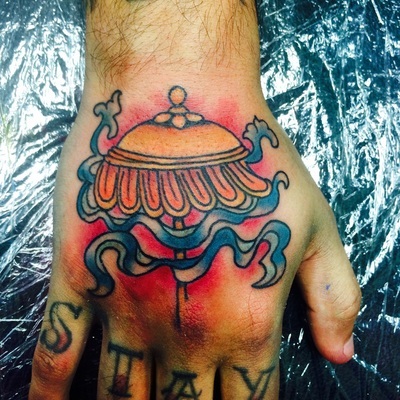 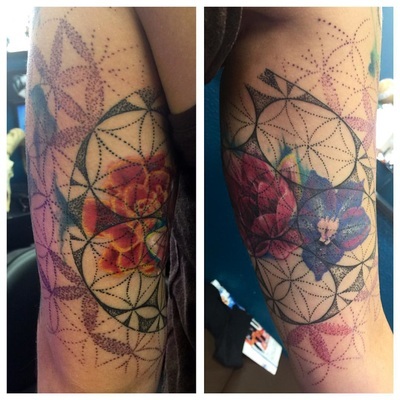 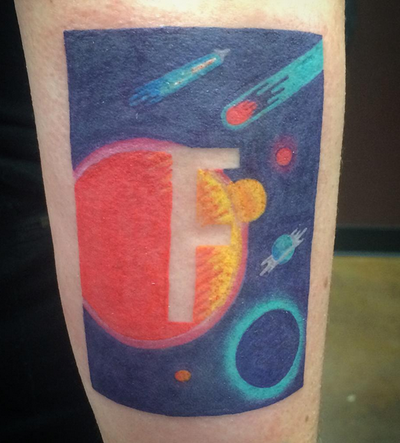 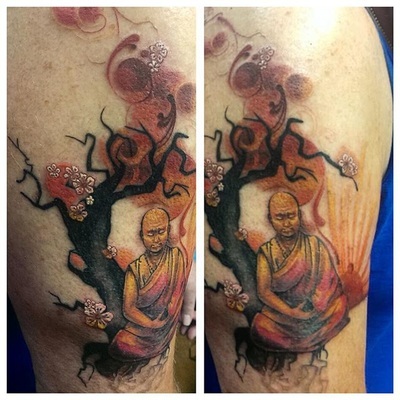 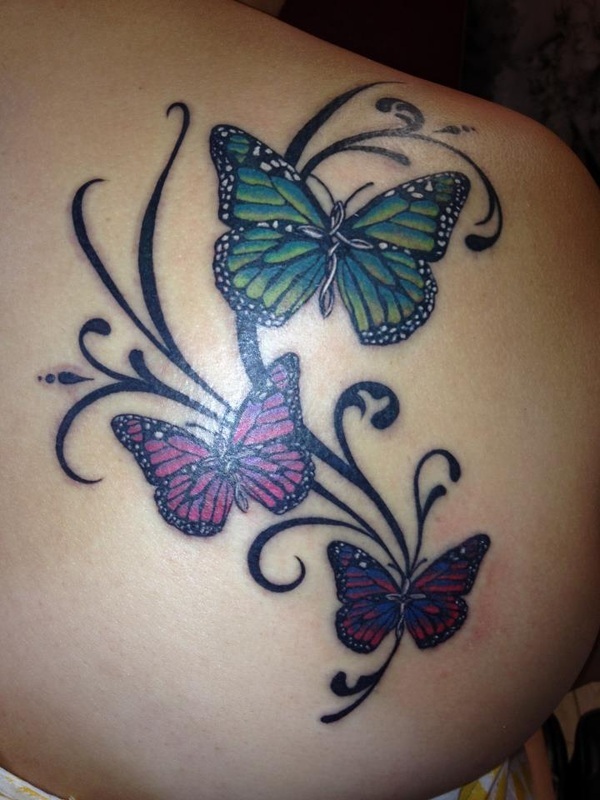 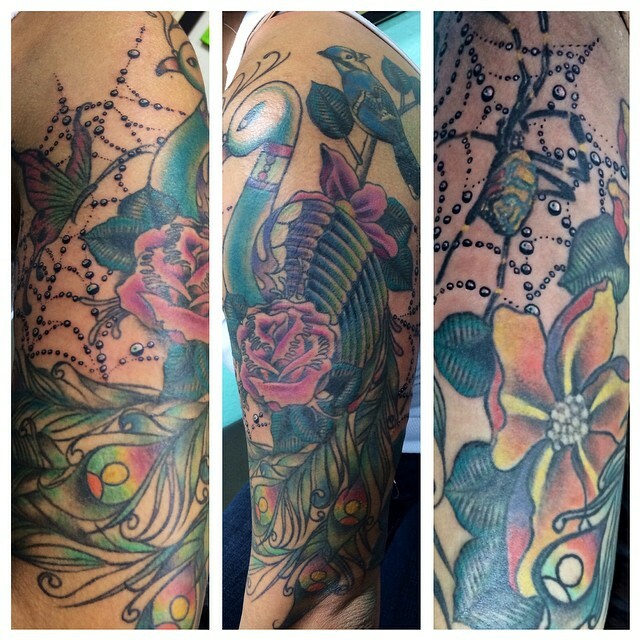 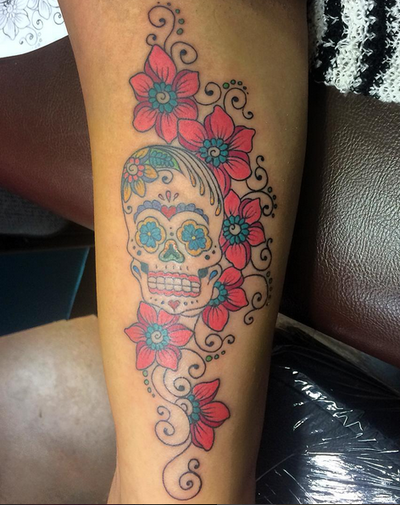 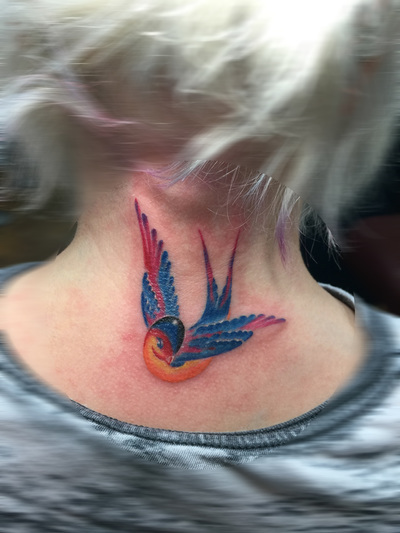 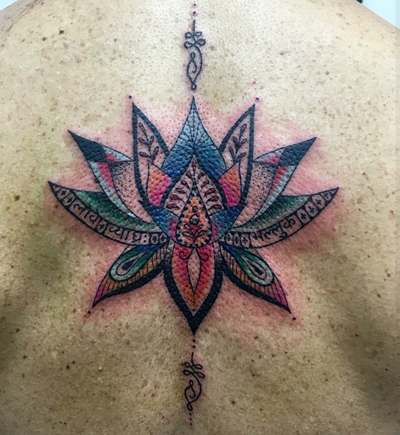 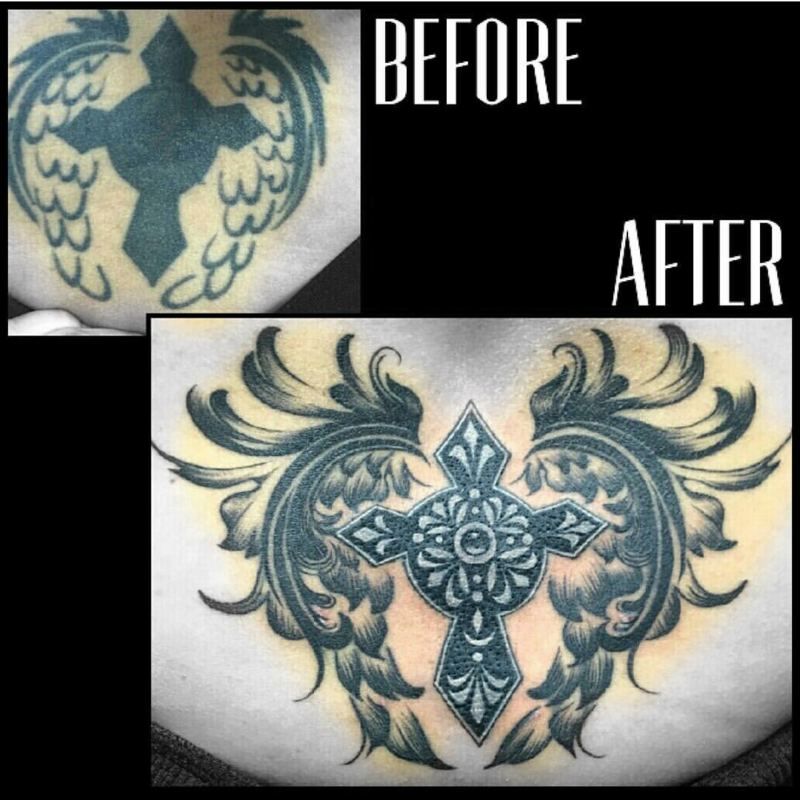 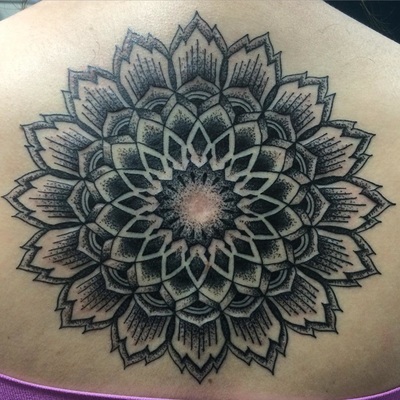 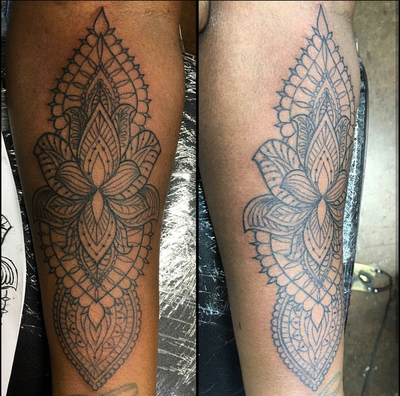 Nina is committed to making sure that each clients tattoo experience is centered around their individuality and that their tattoo will be one that gives them a sense of nostalgia long after.